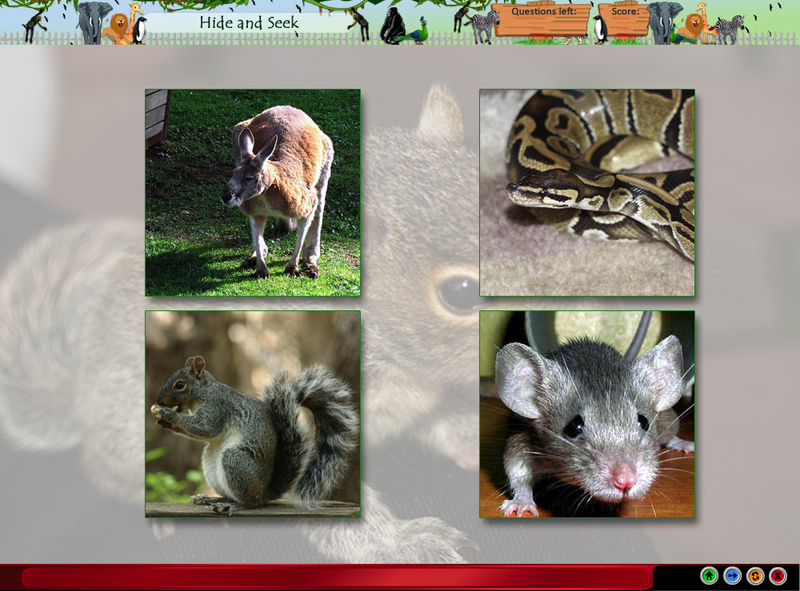 Child identifies animals hidden in nature. 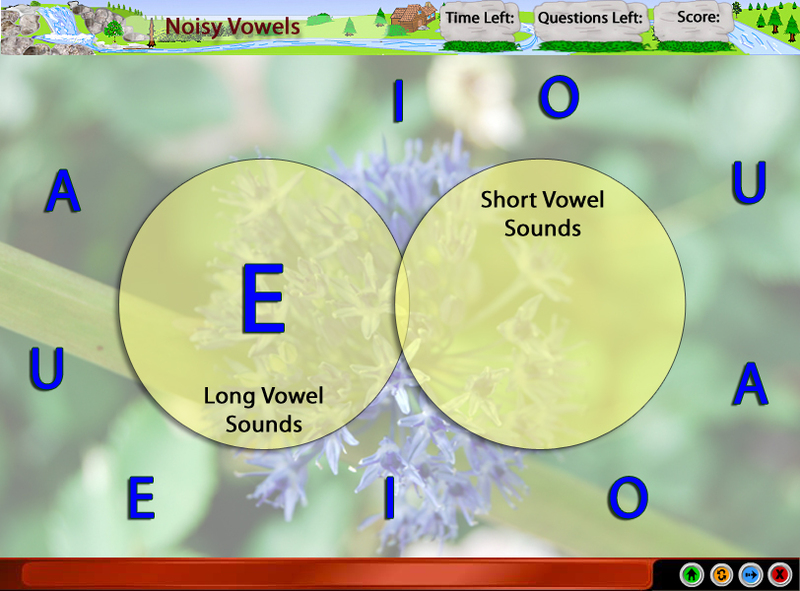 Child is tested on long and short vowel sounds. 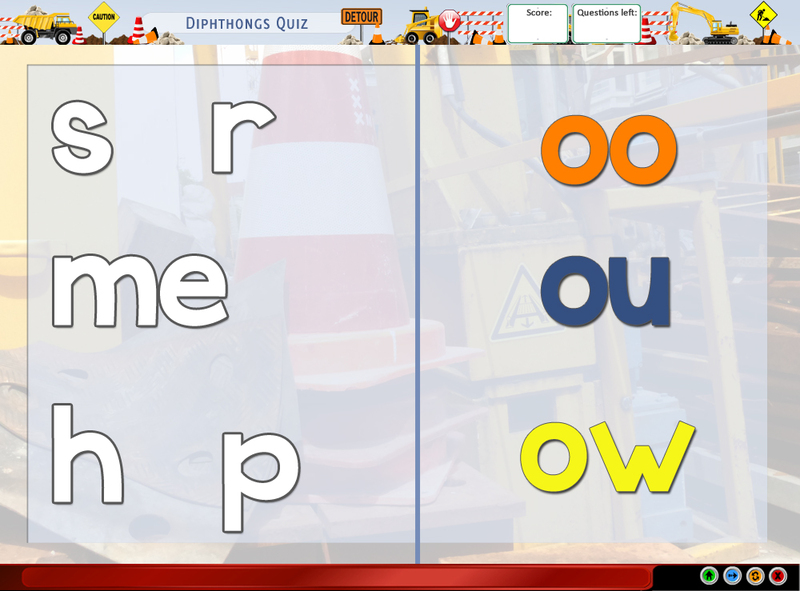 Child is tested on knowledge of diphthongs. 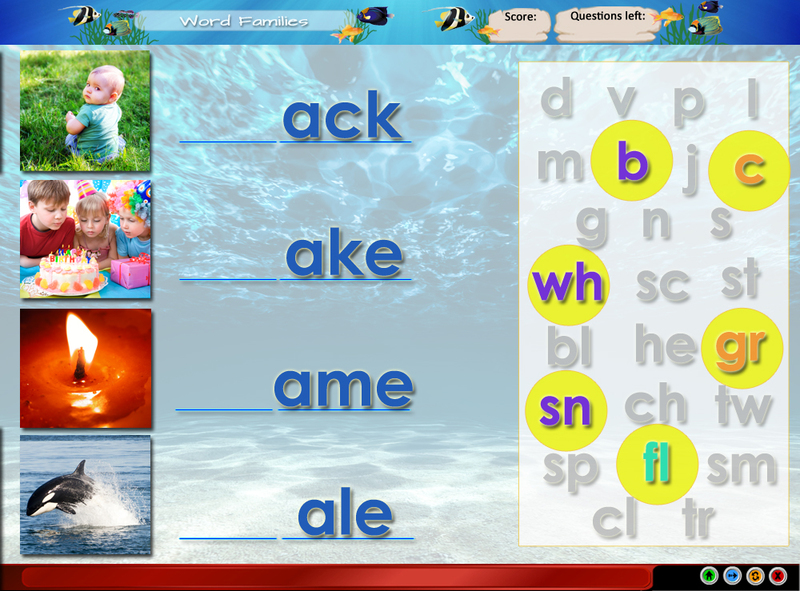 Child is tested on using silent e or non-silent e words. 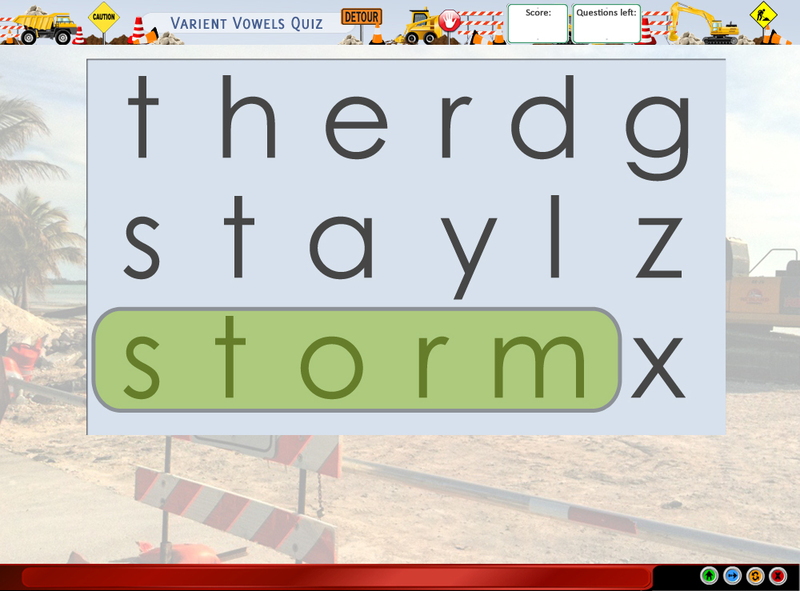 Kids do a word search to find words with variant vowels. 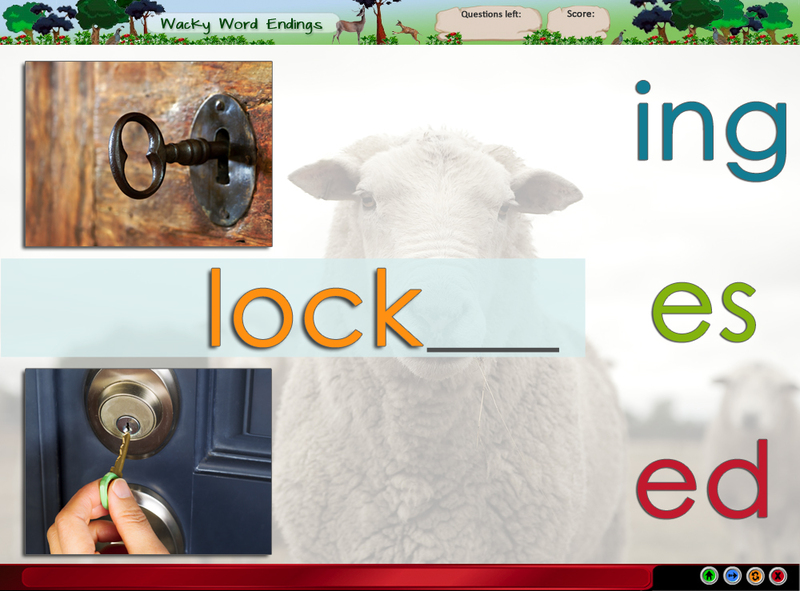 Words with the correct ending are chosen. 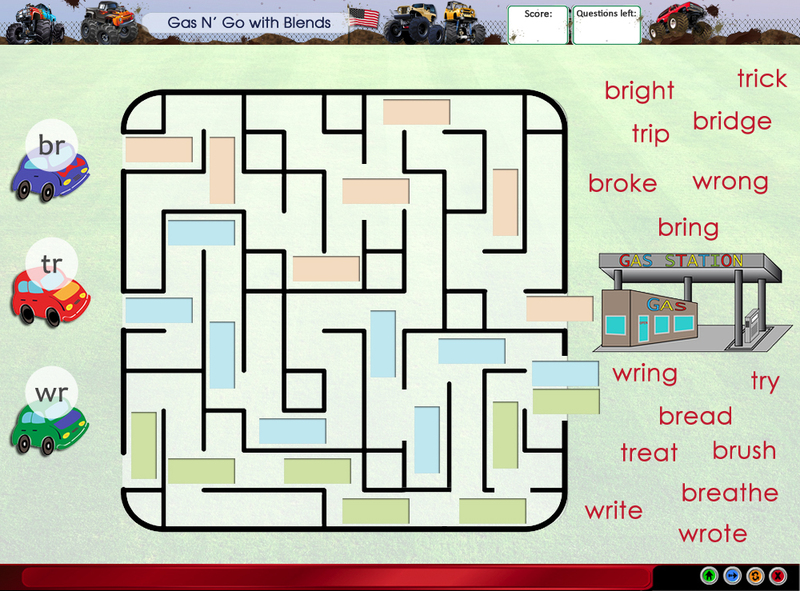 Words that are twisted are decoded. 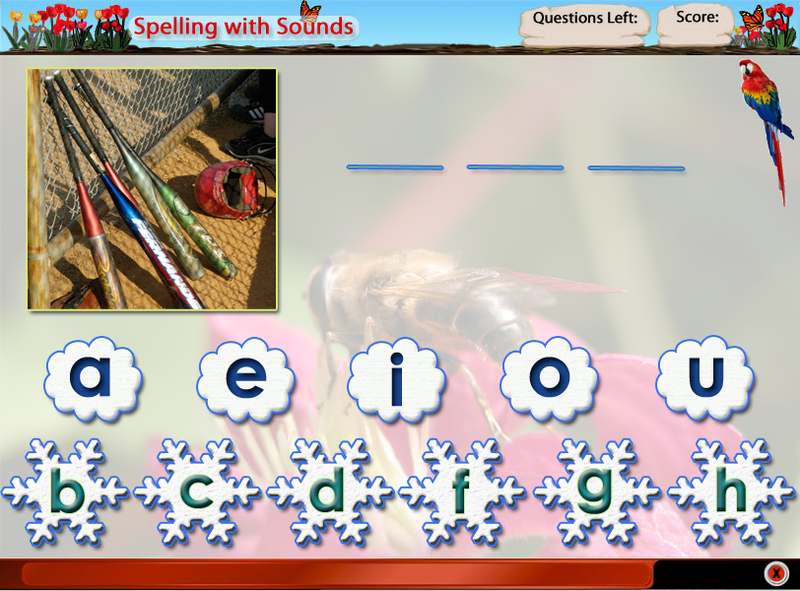 Child uses letters to make a new word. 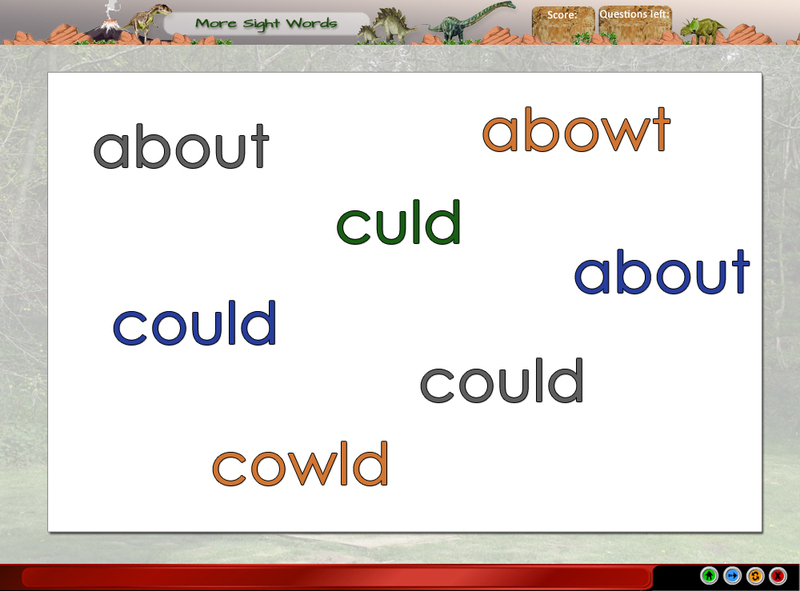 Child spells word asked for. 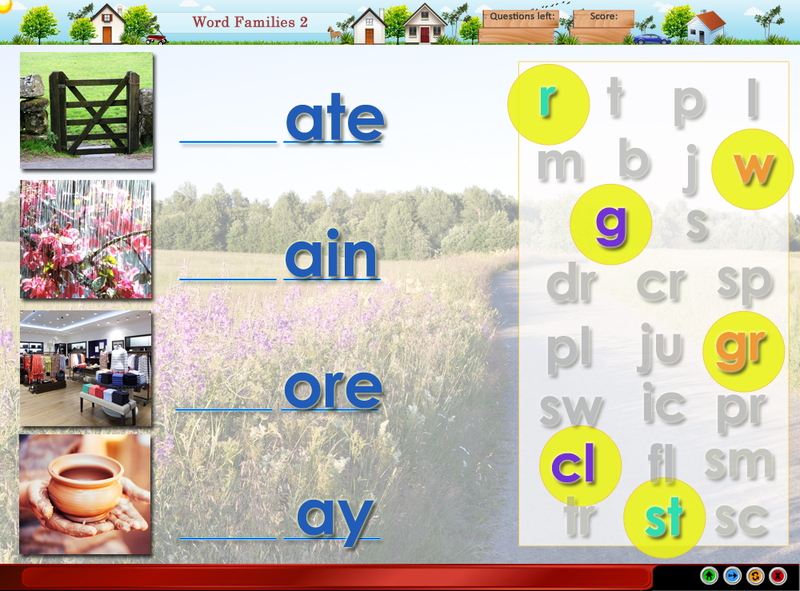 Child spells words that are in the same family. 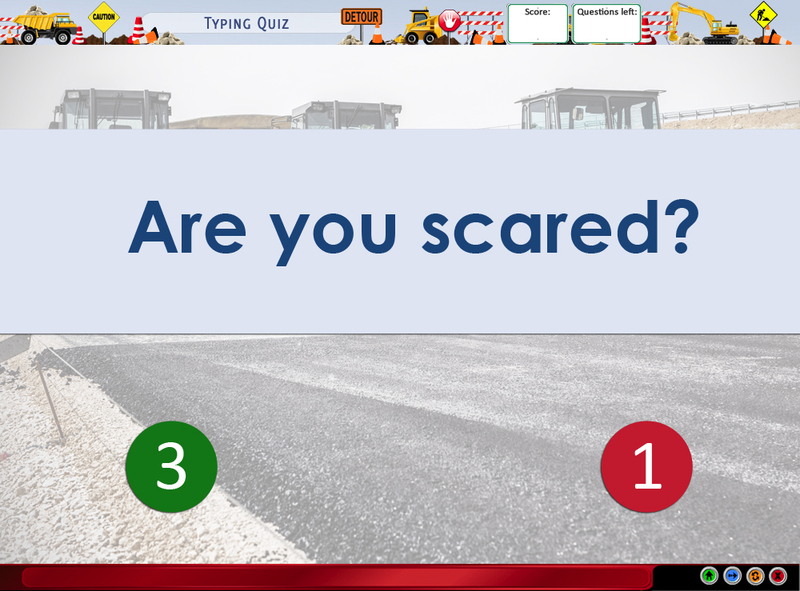 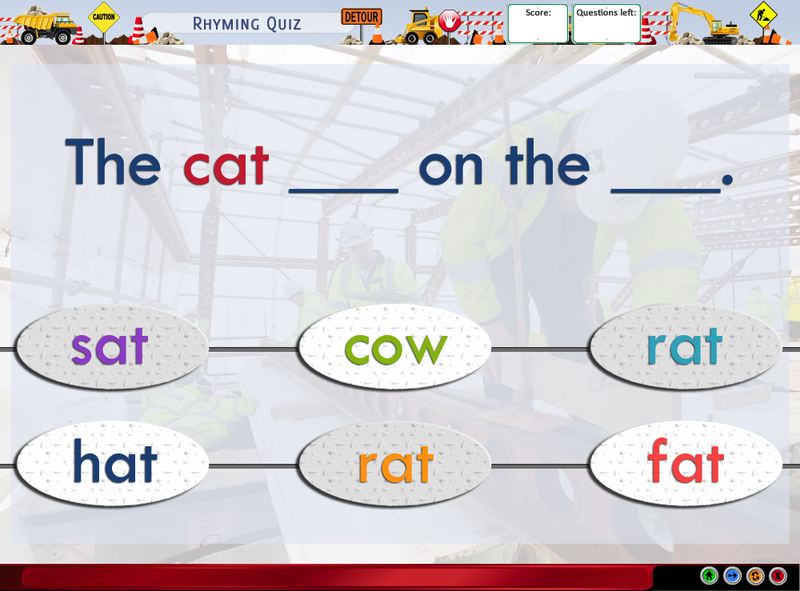 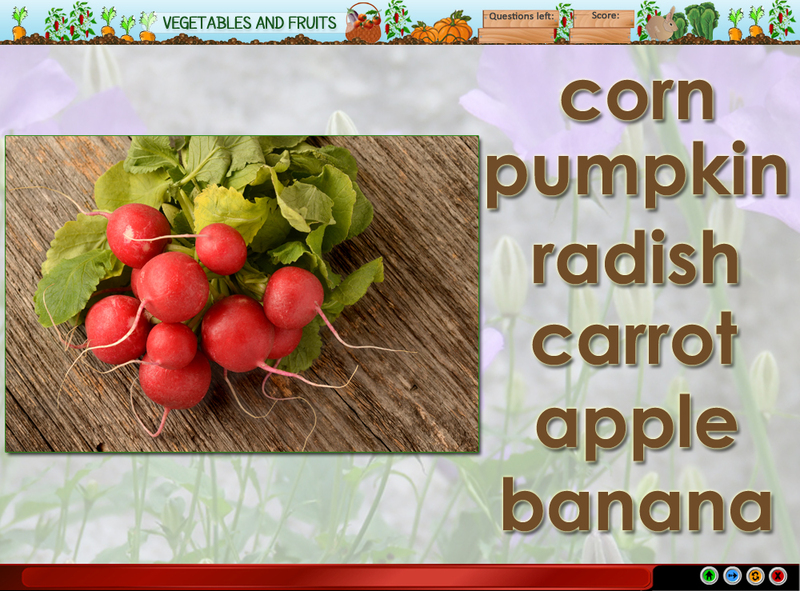 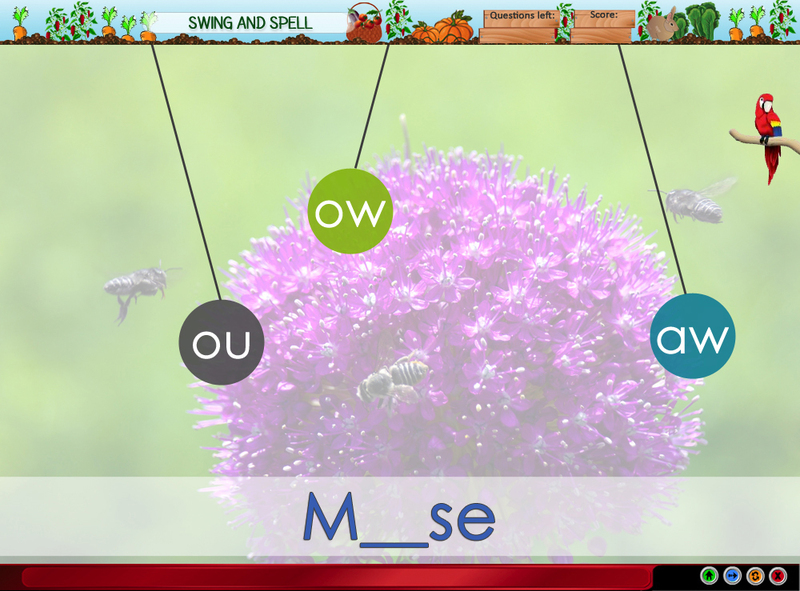 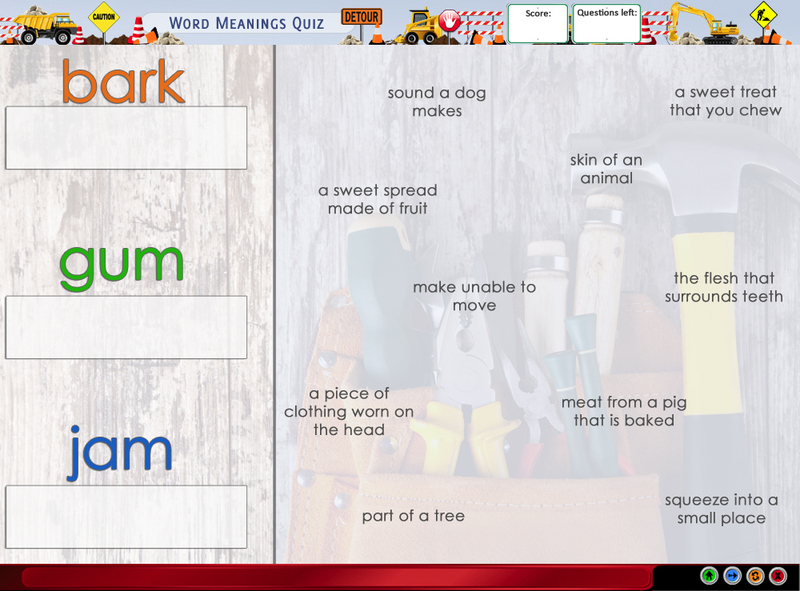 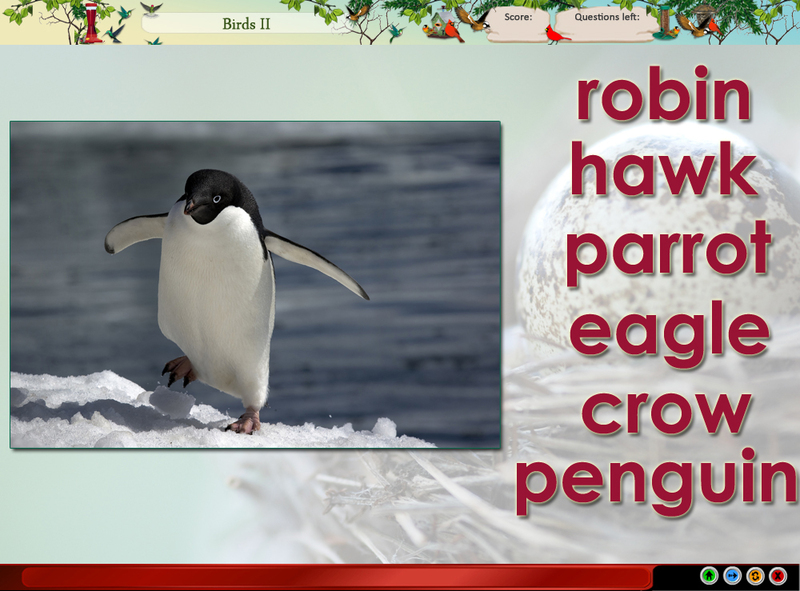 Children are quizzed on which rhyming words fit in a sentence. 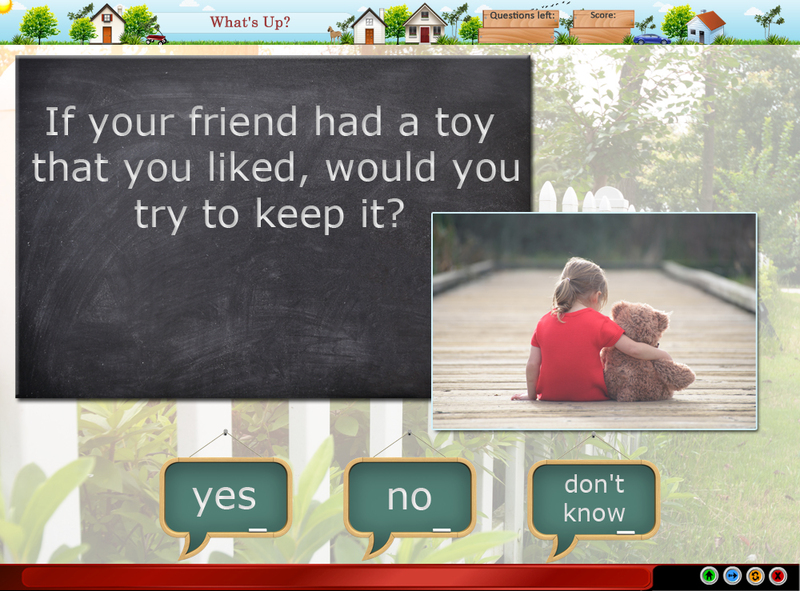 Child is asked questions and must decide what is happening what has happened. 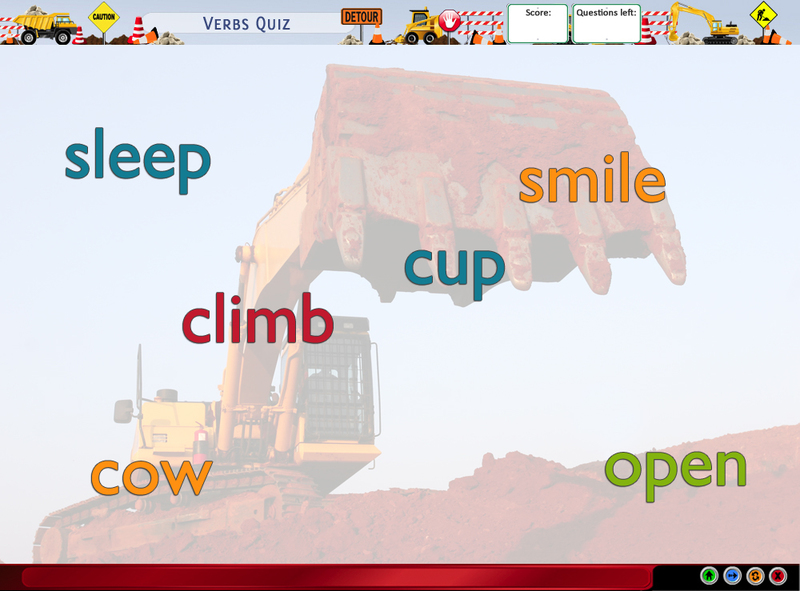 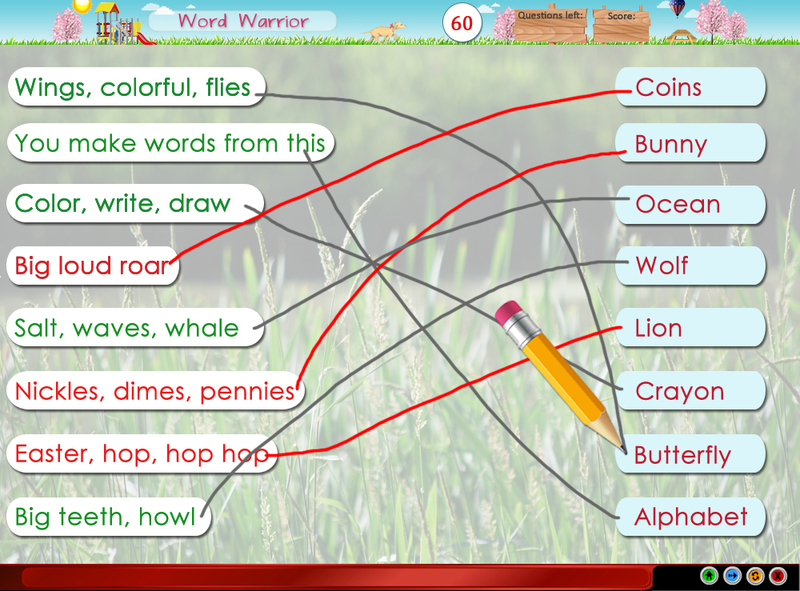 Child selects the words that are verbs. 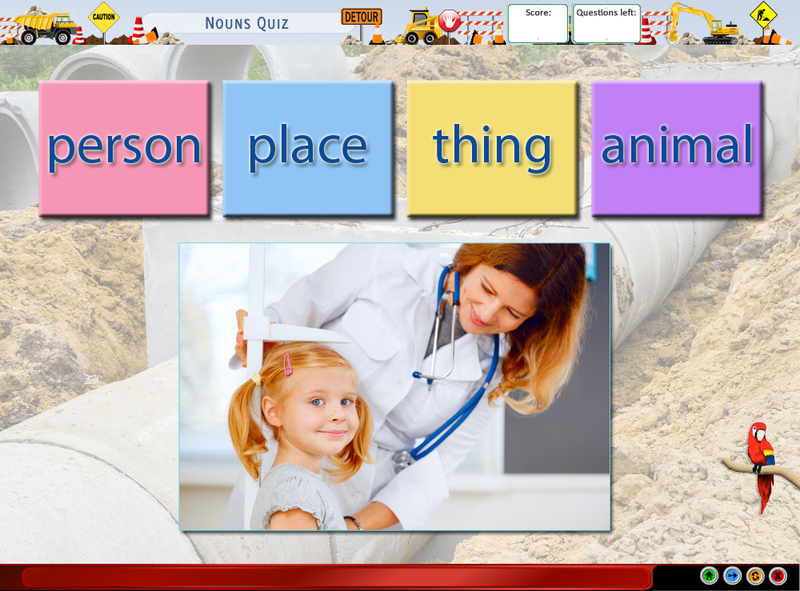 Child decides if an image is a person, a place, a thing, or an animal. 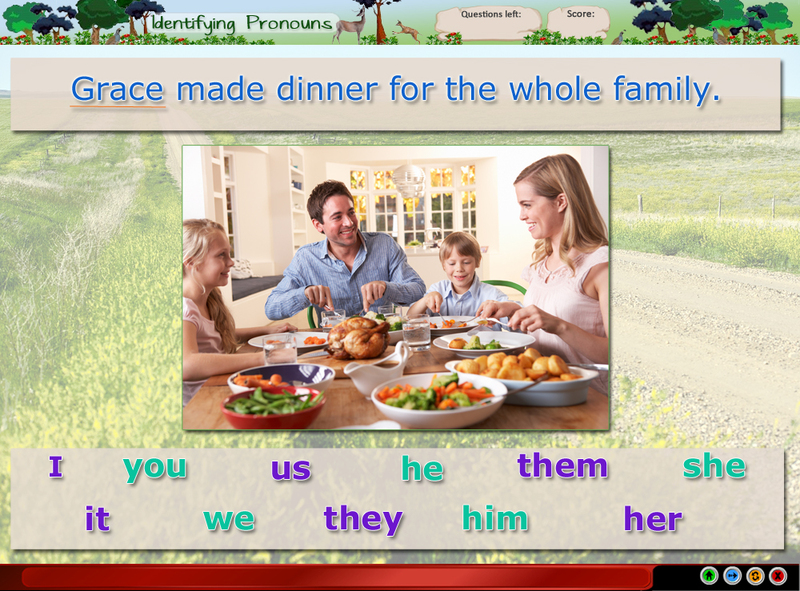 The correct pronoun is selected to complete a sentence. 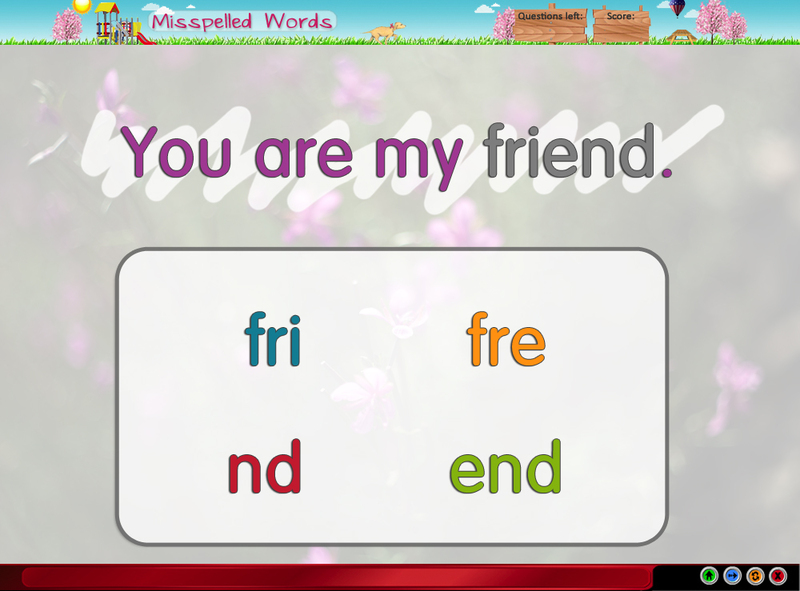 The correct ending is added to the word. 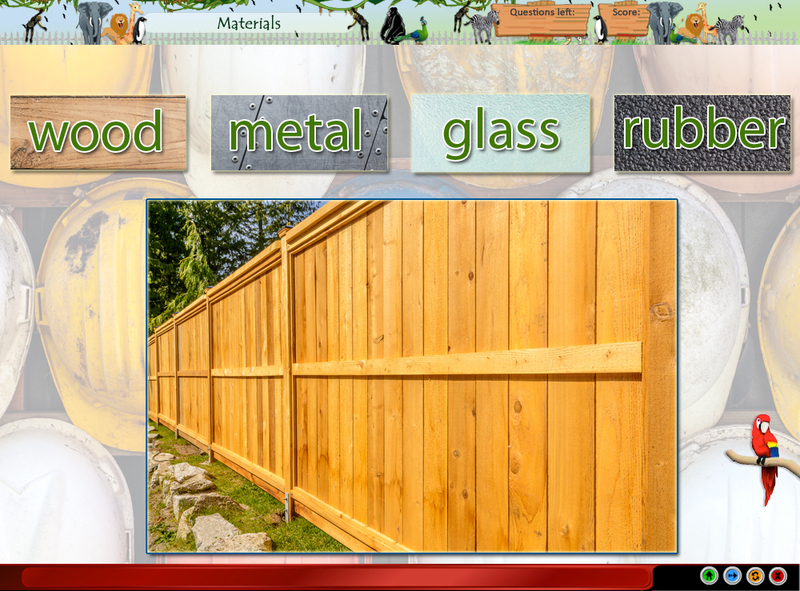 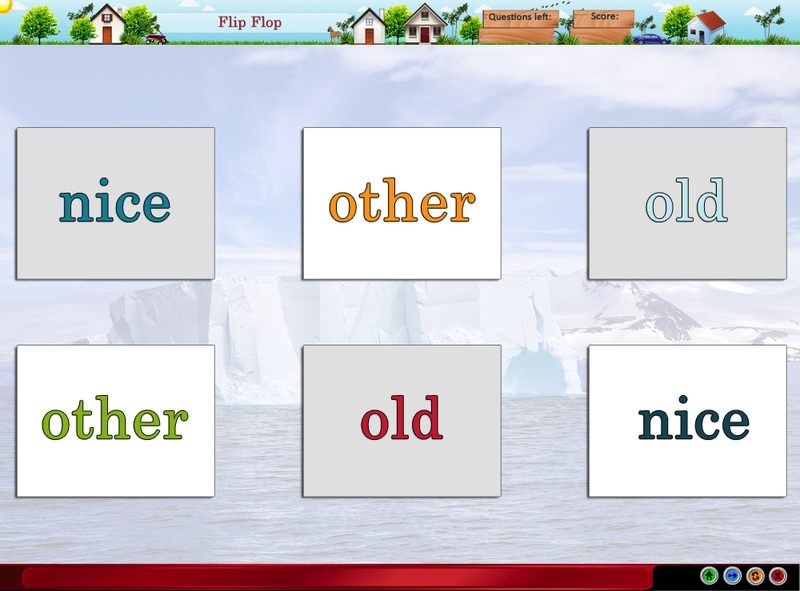 Words are sorted into “Adjective” or “Other” categories. 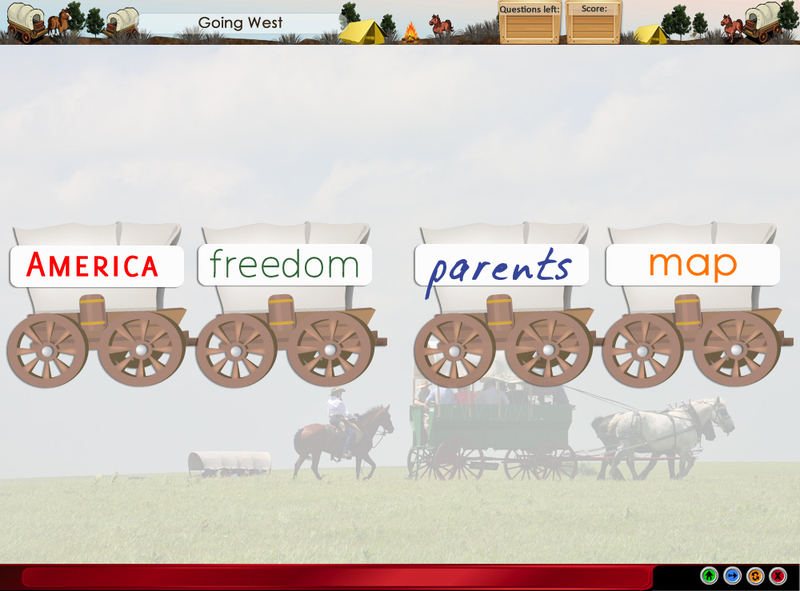 Child answers questions about American Pioneer’s history. 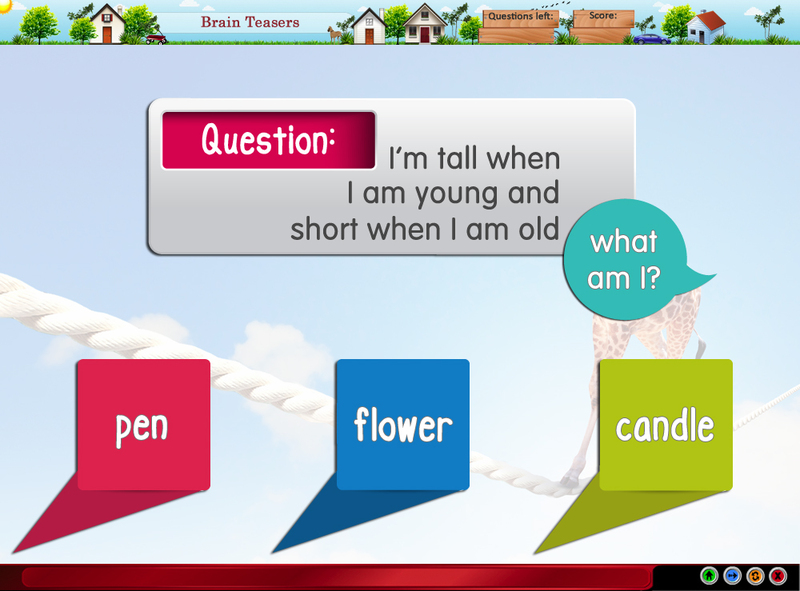 Student must correctly answer brain teasers. 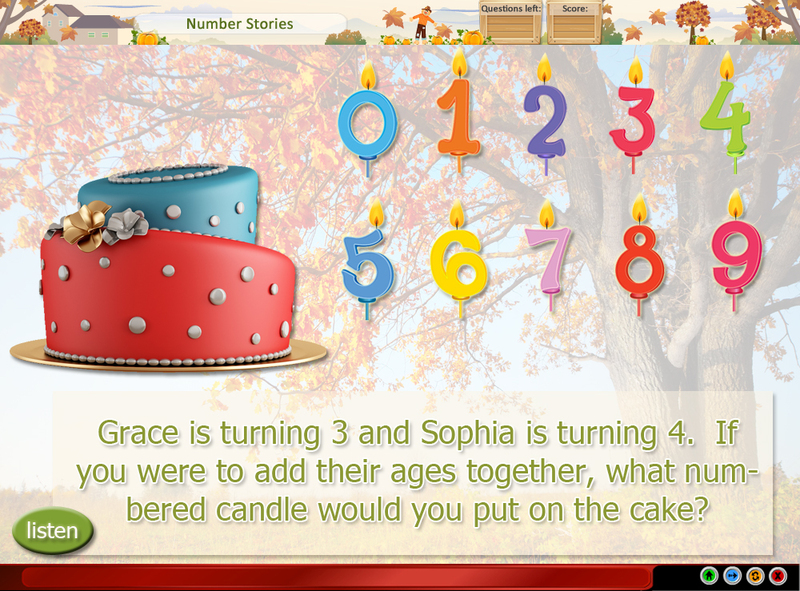 Child answers questions about the world they live in. 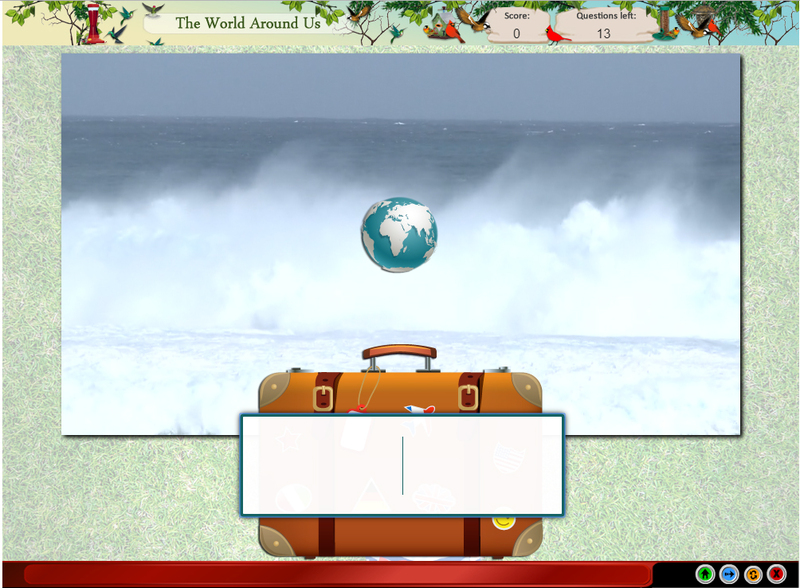 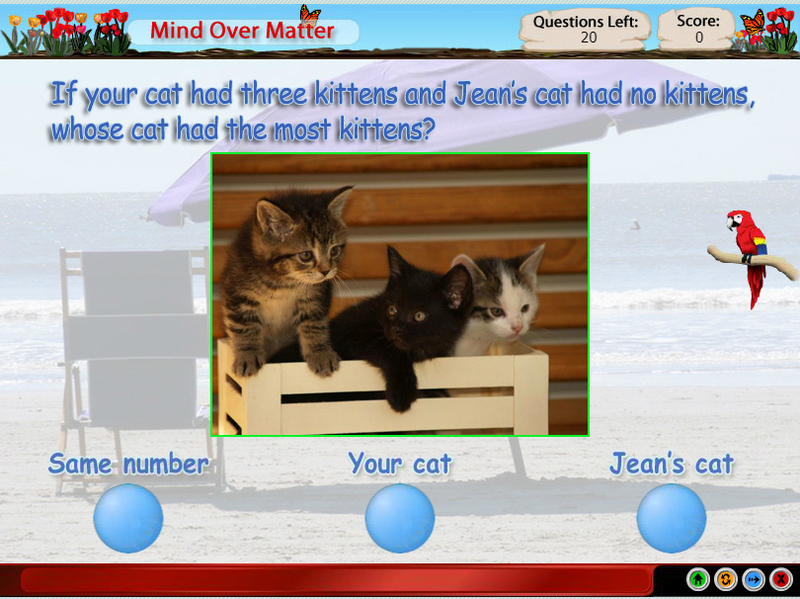 Child answers questions about morals and behaviors and hears the consequence of each choice. 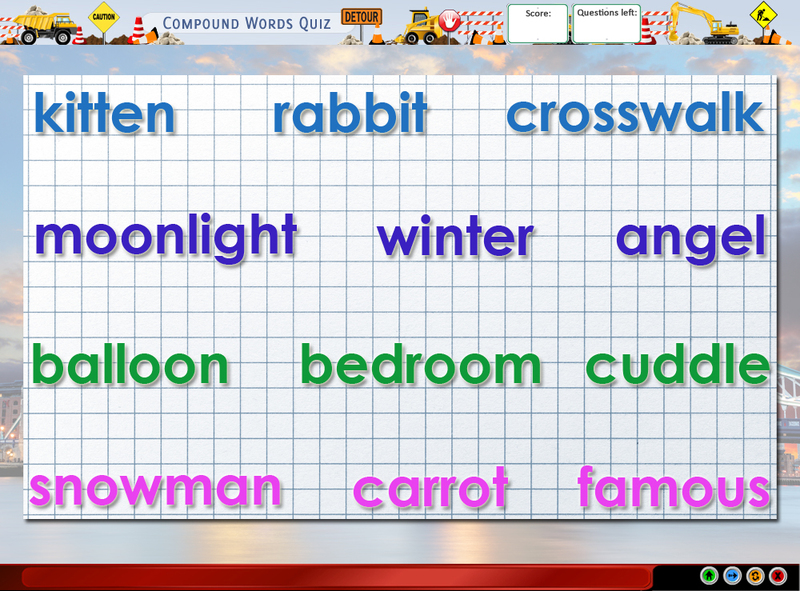 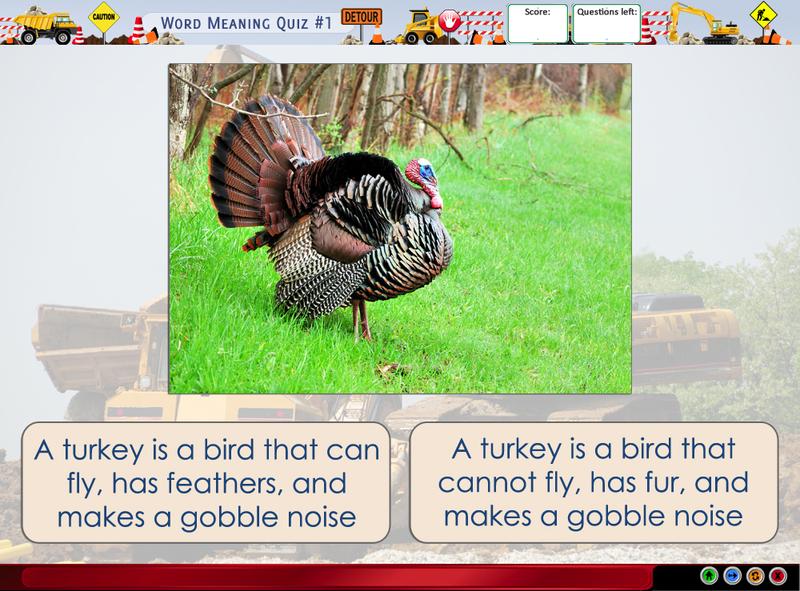 Children are tested on knowledge of compound words. 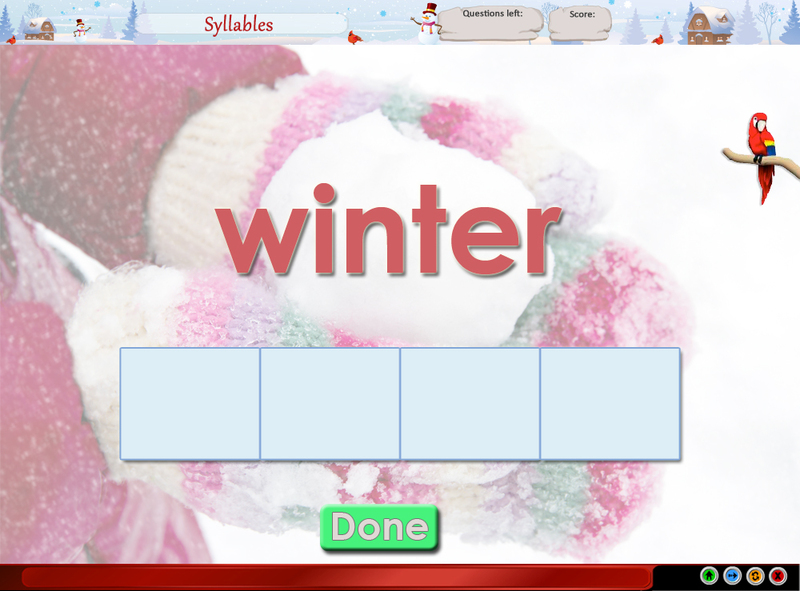 Child must decide how many syllables words have. 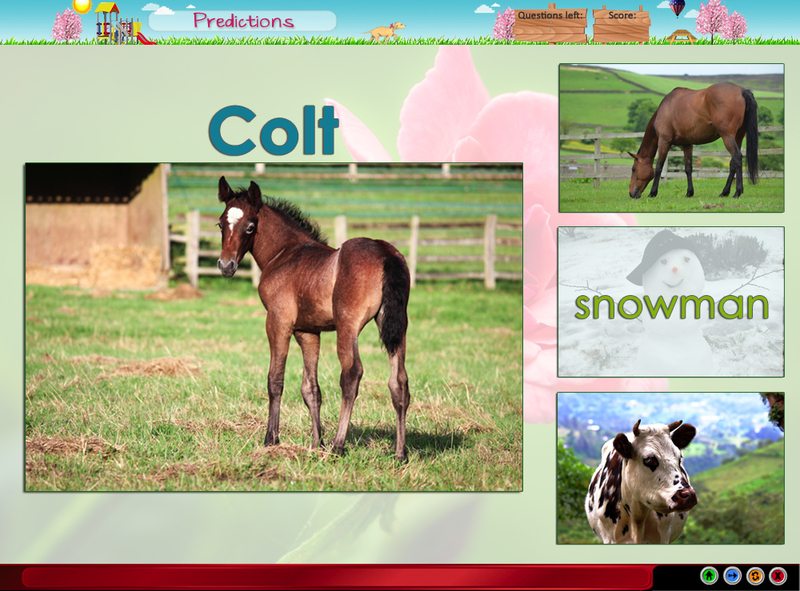 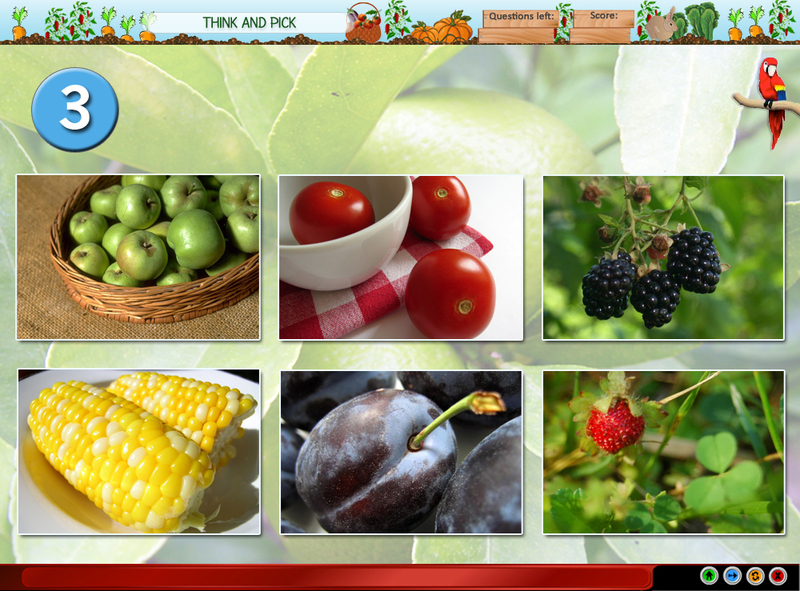 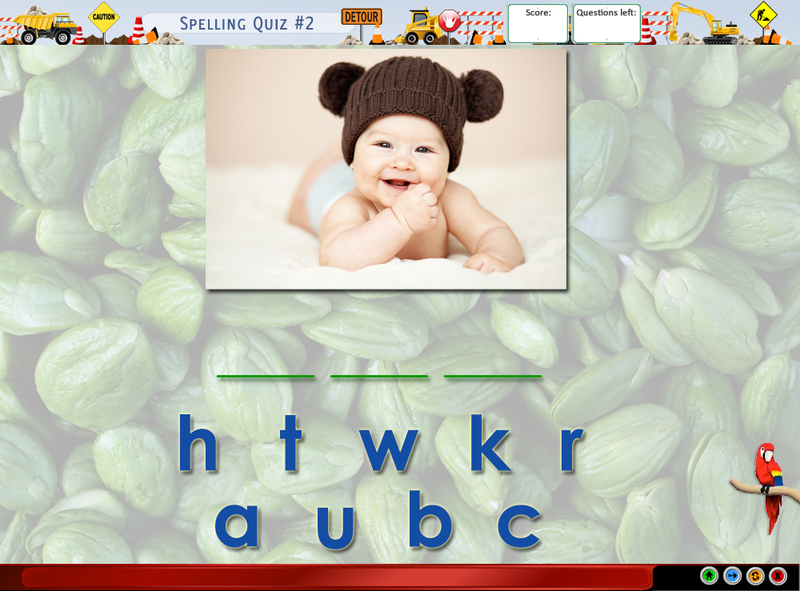 Child is given a set of descriptive words and must select the picture that best matches. 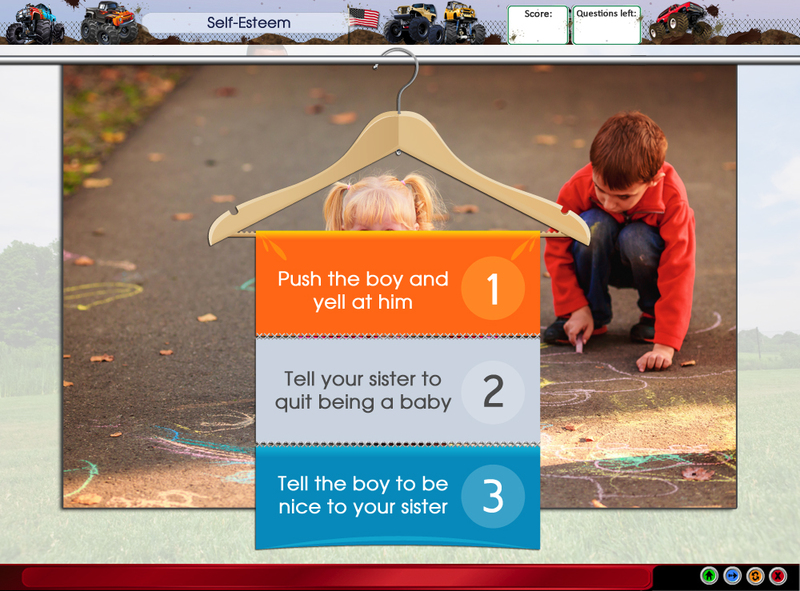 Child answers questions about how they feel about themselves and others. 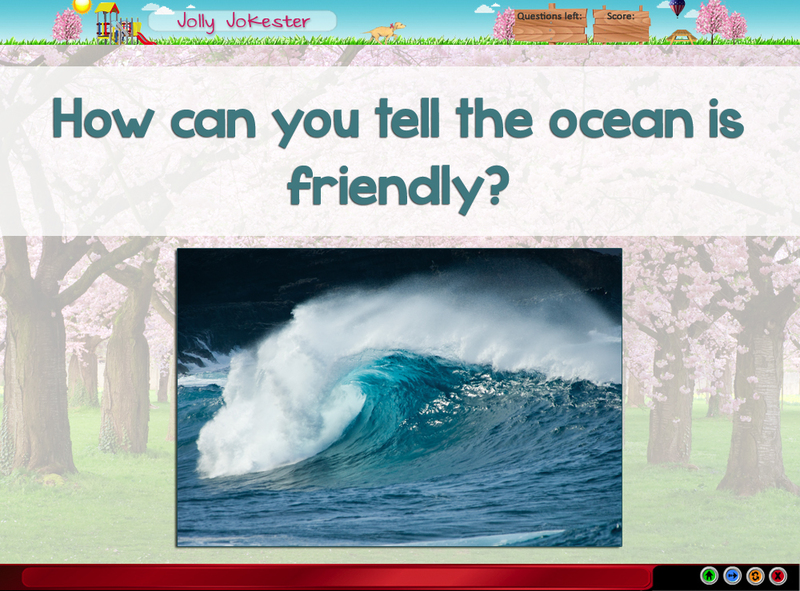 Child answers questions about how they feel about learning. 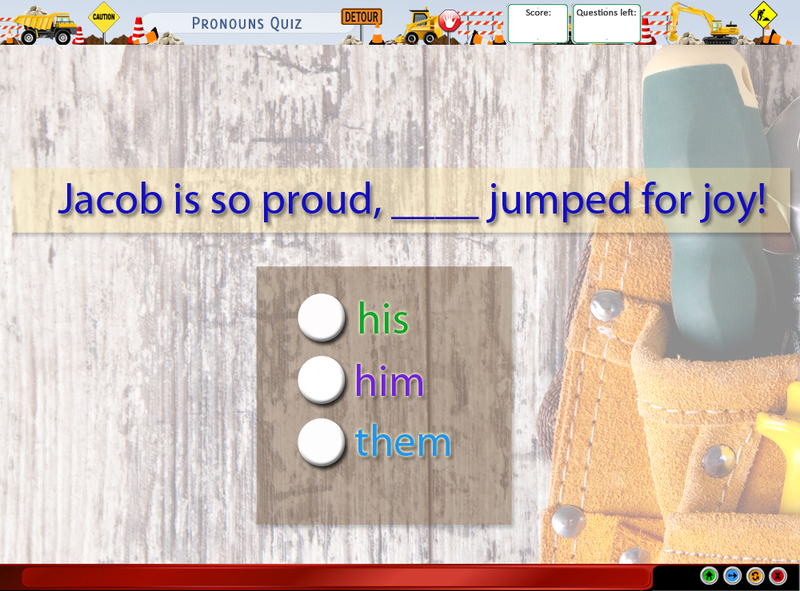 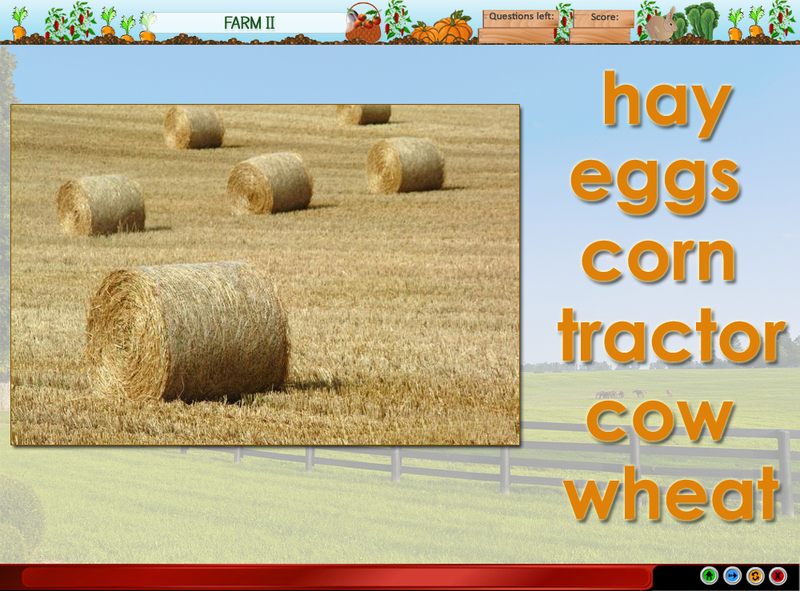 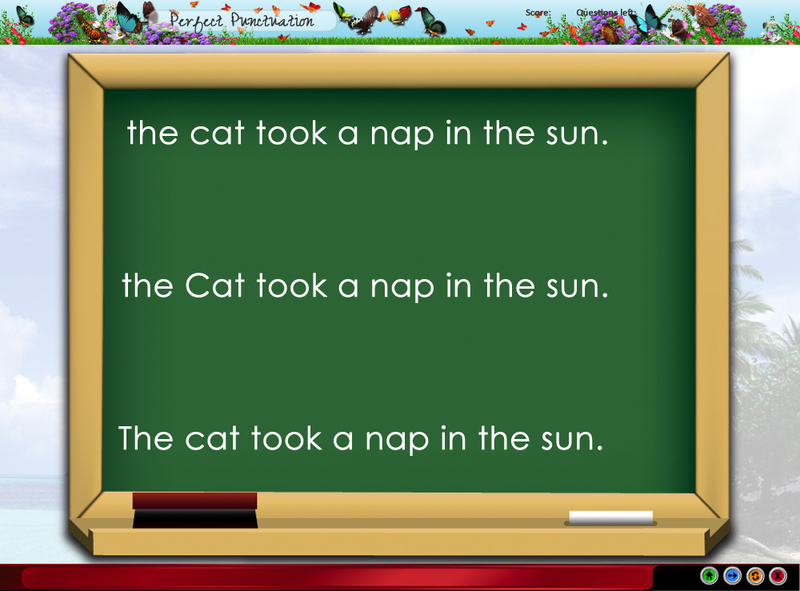 Child correct sentences with punctuation and capitalization mistakes. 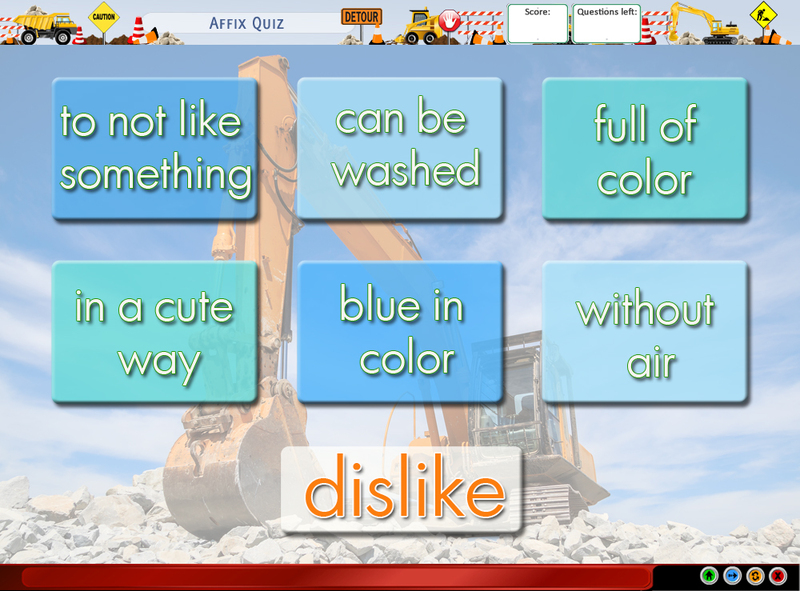 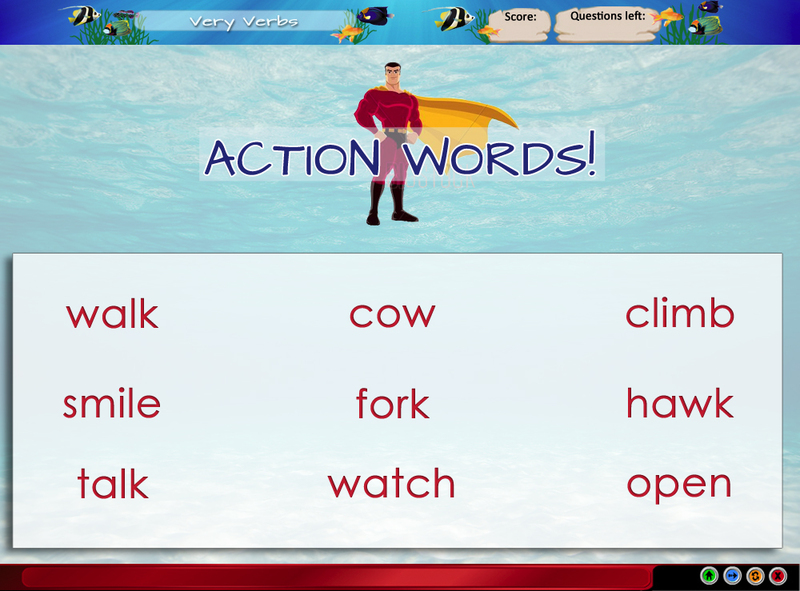 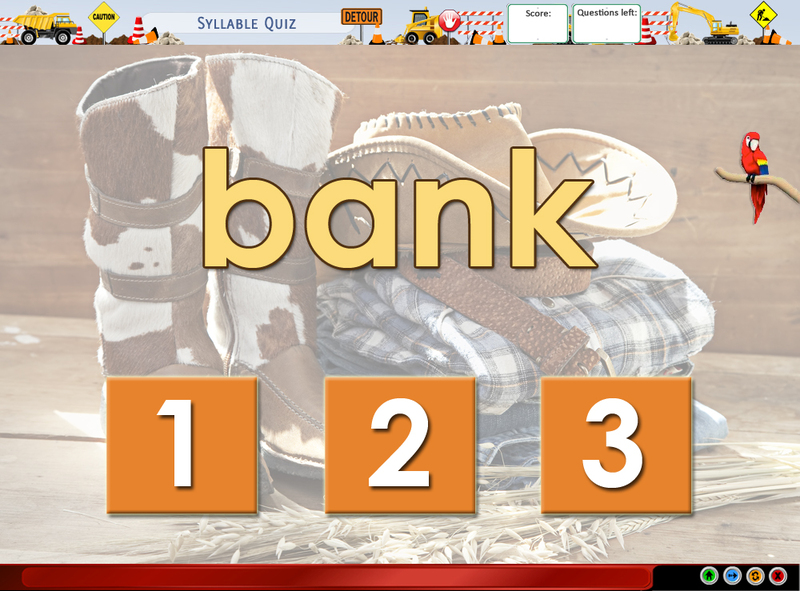 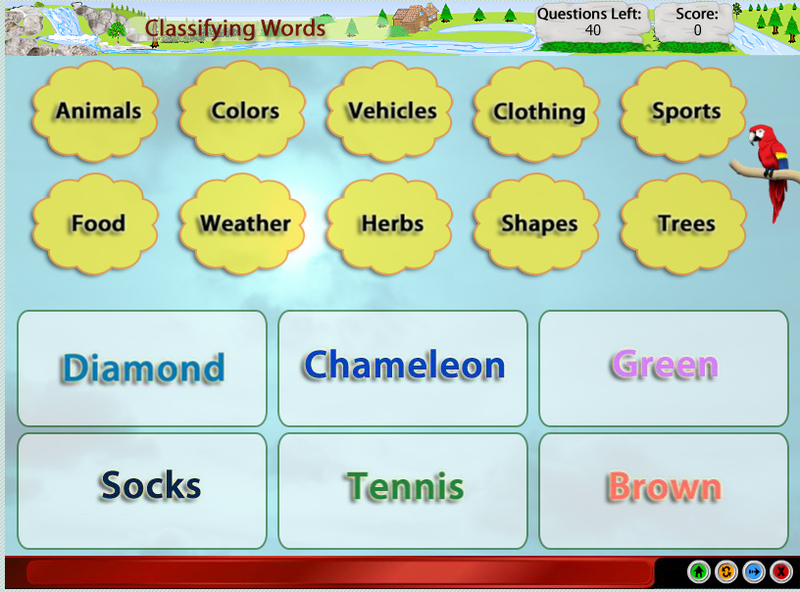 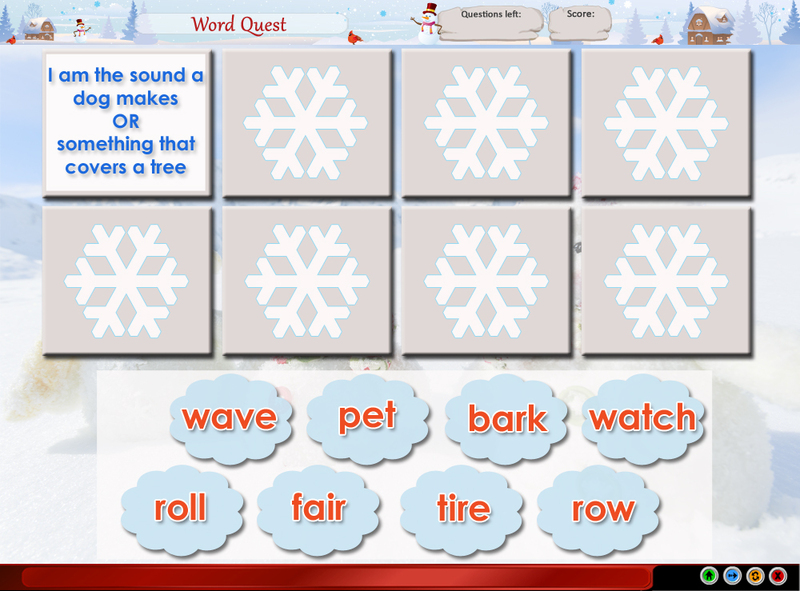 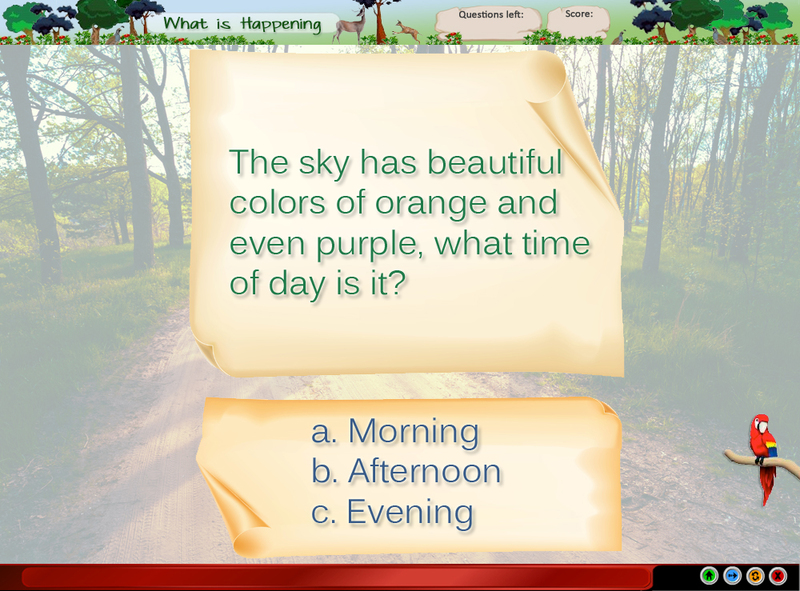 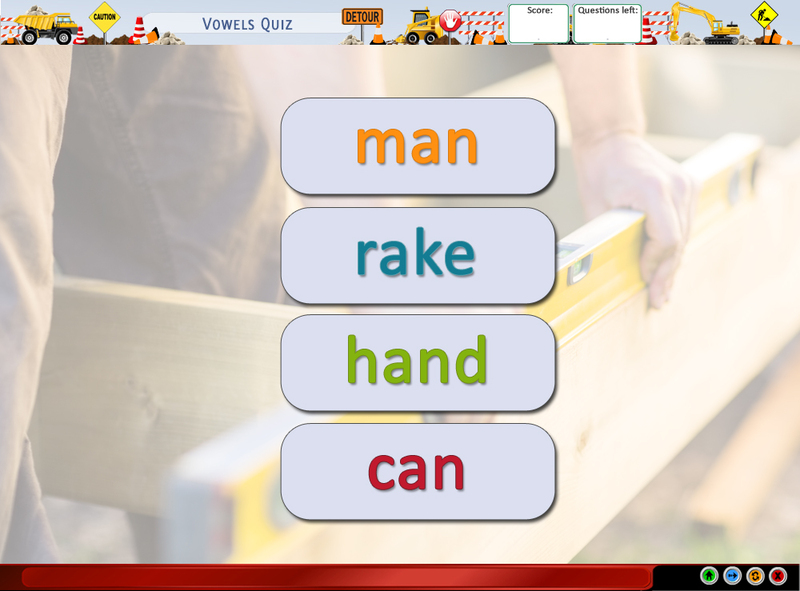 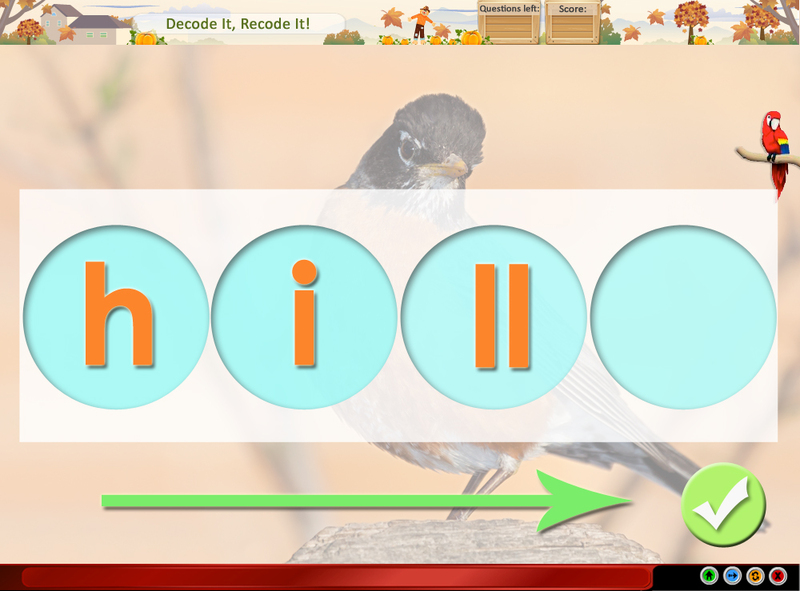 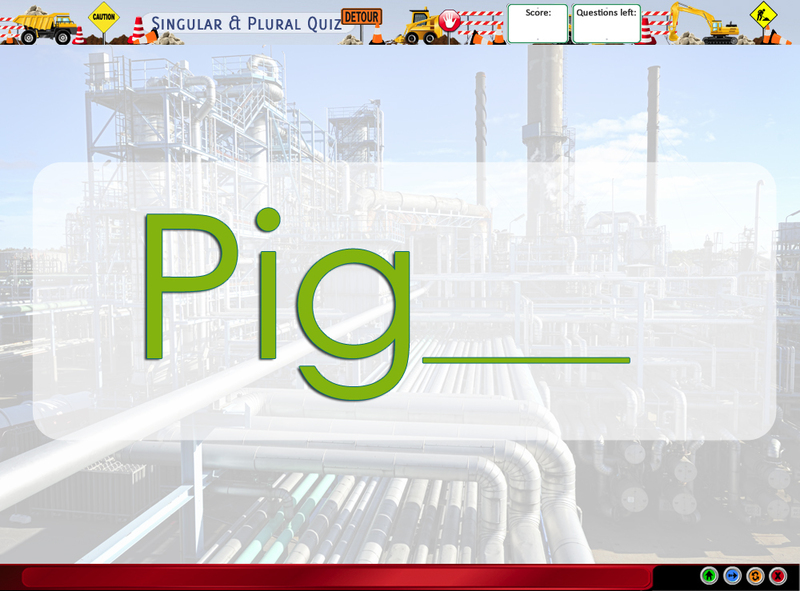 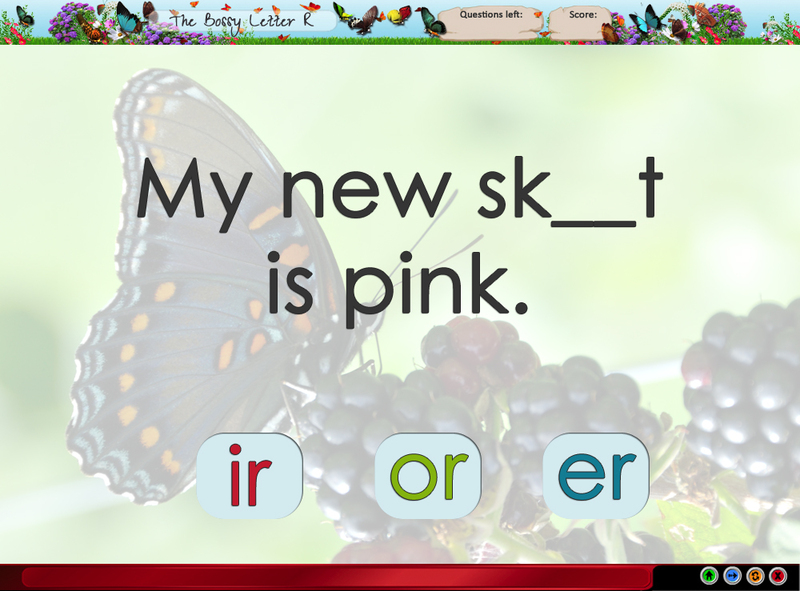 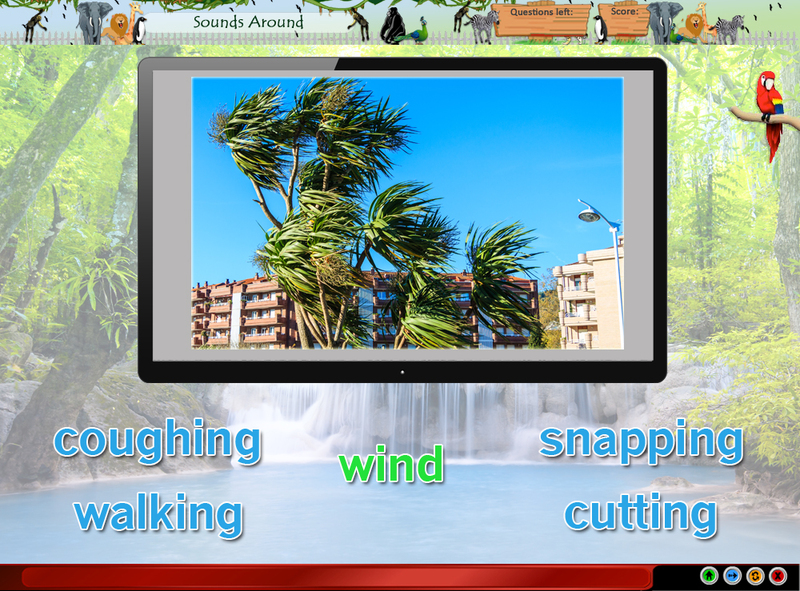 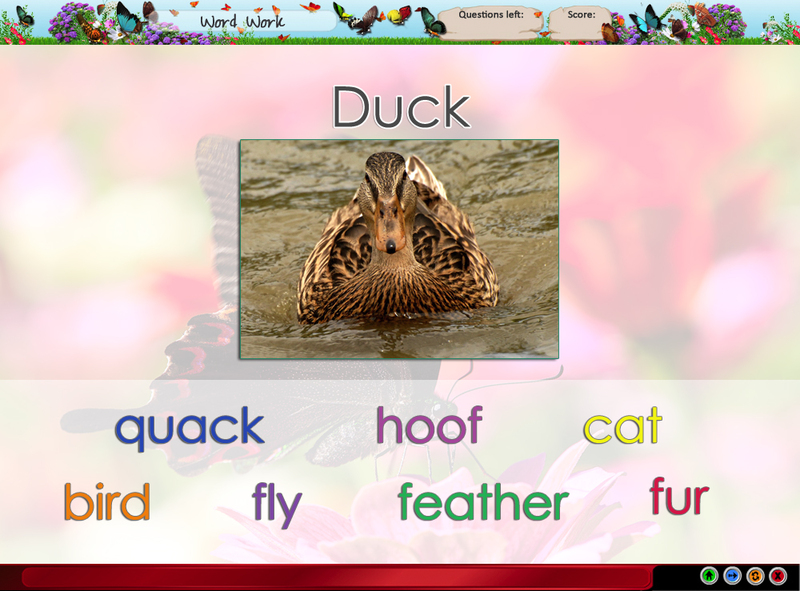 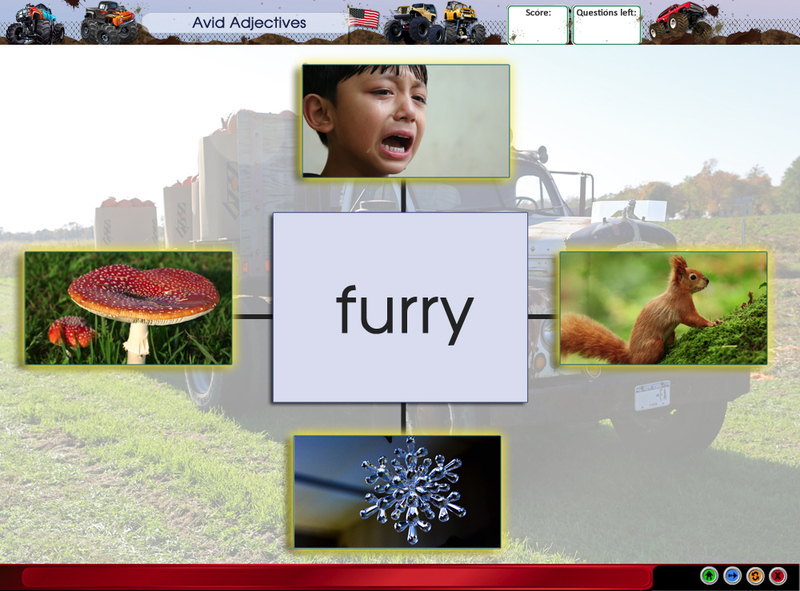 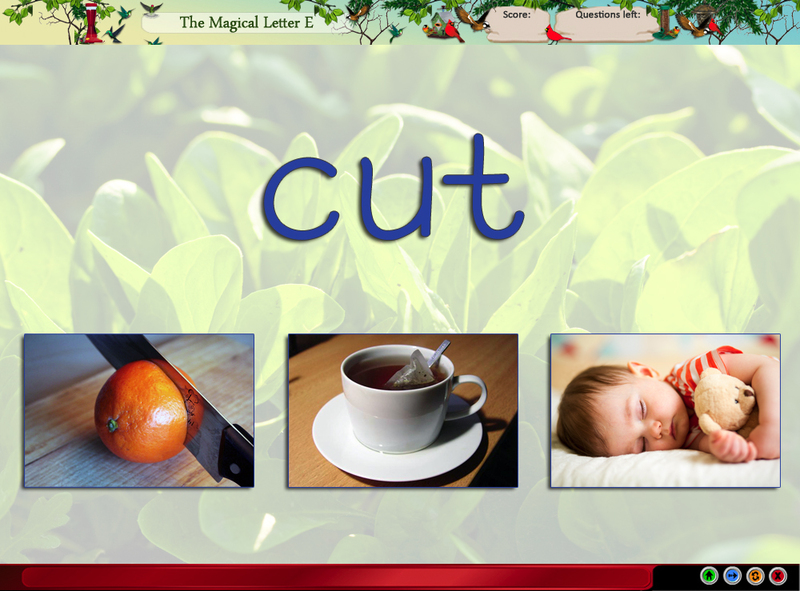 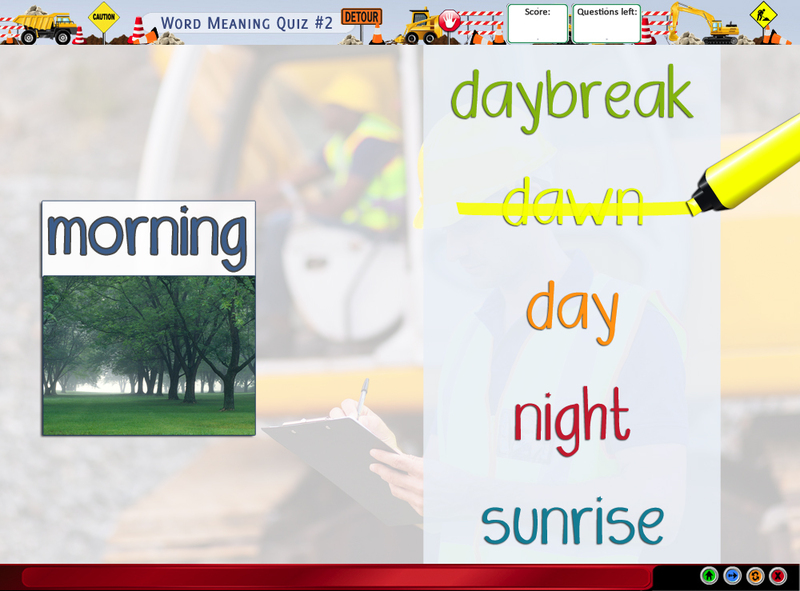 A word with an affix is shown and the child must select the definition. 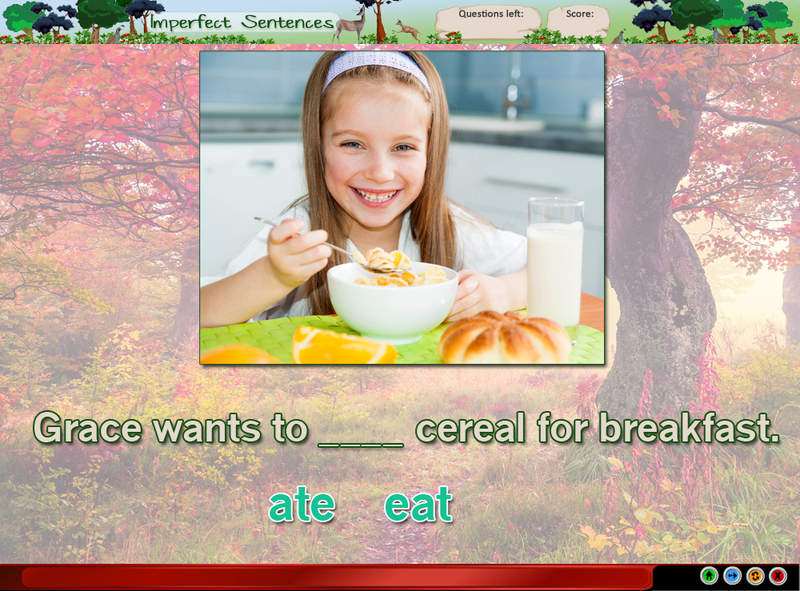 The child selects the correct conjunction to complete the sentence. 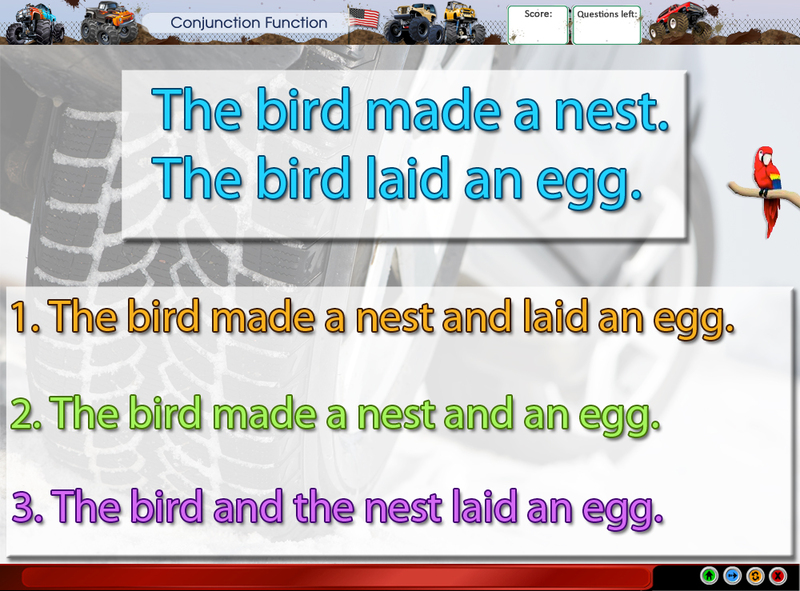 Child is tested on which prepositions fits in each sentence. 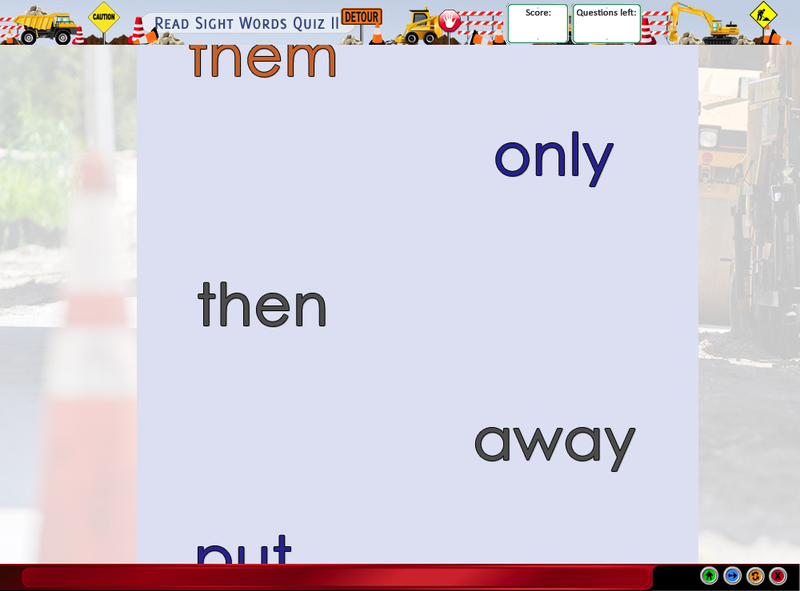 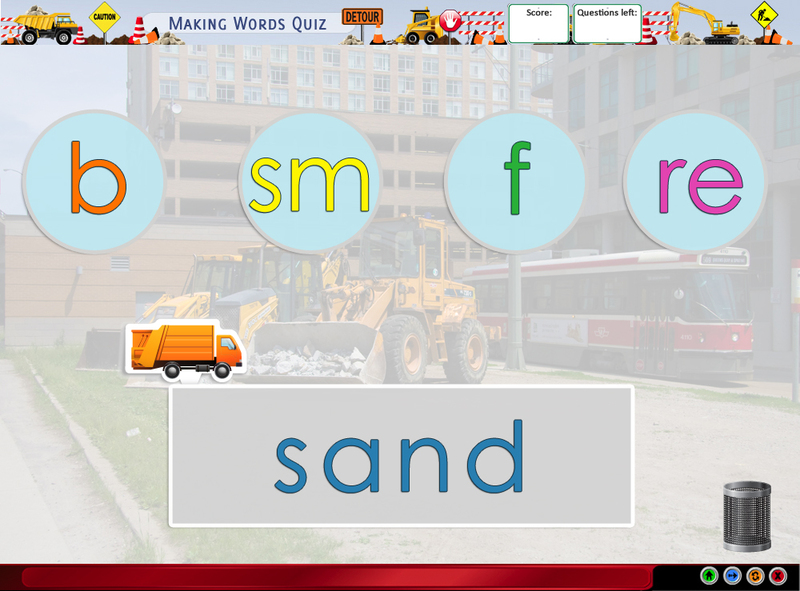 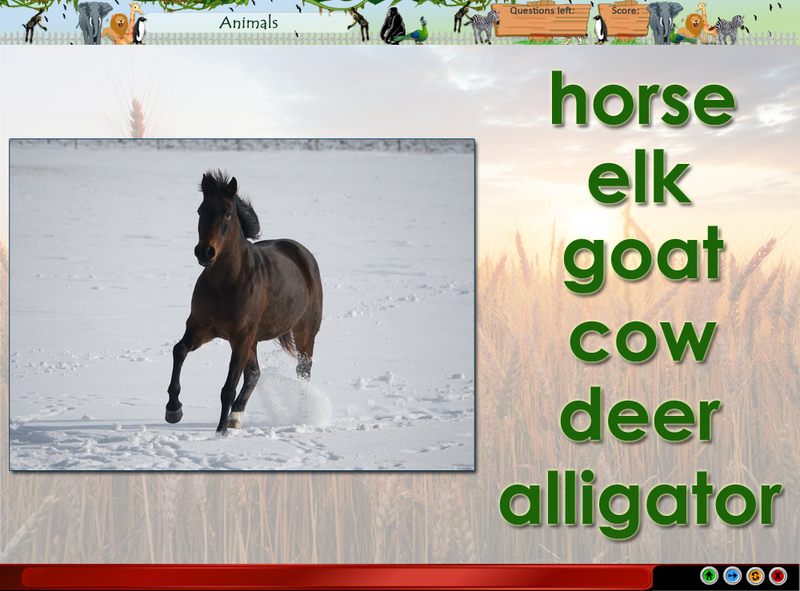 Child selects the sight words asked for. 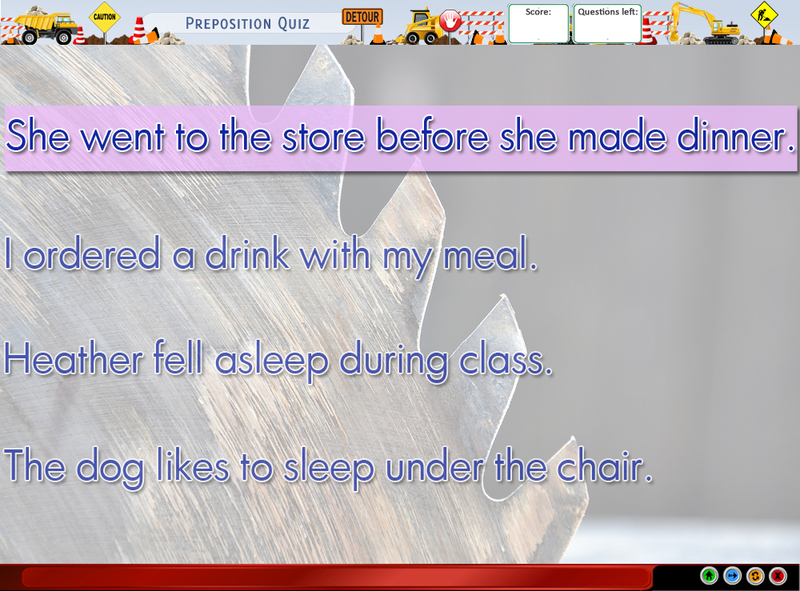 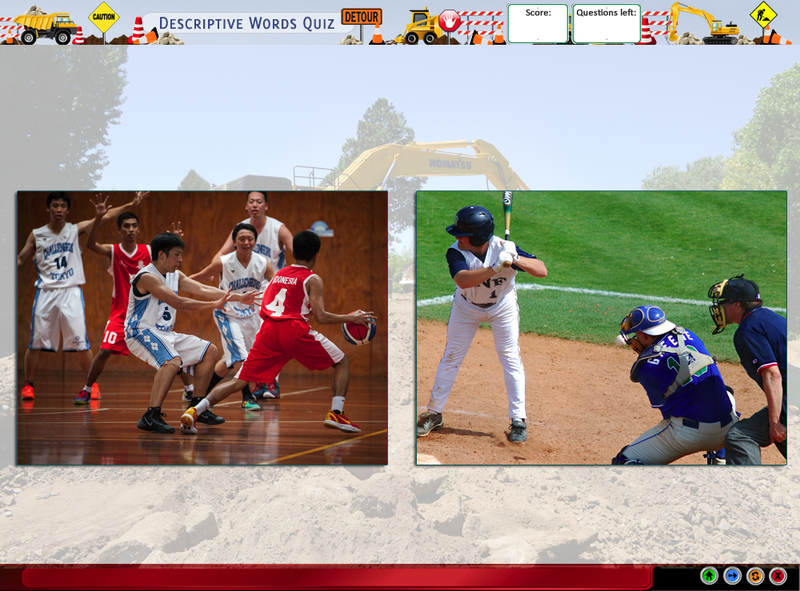 Student must choose objects and words that predict what happens next. 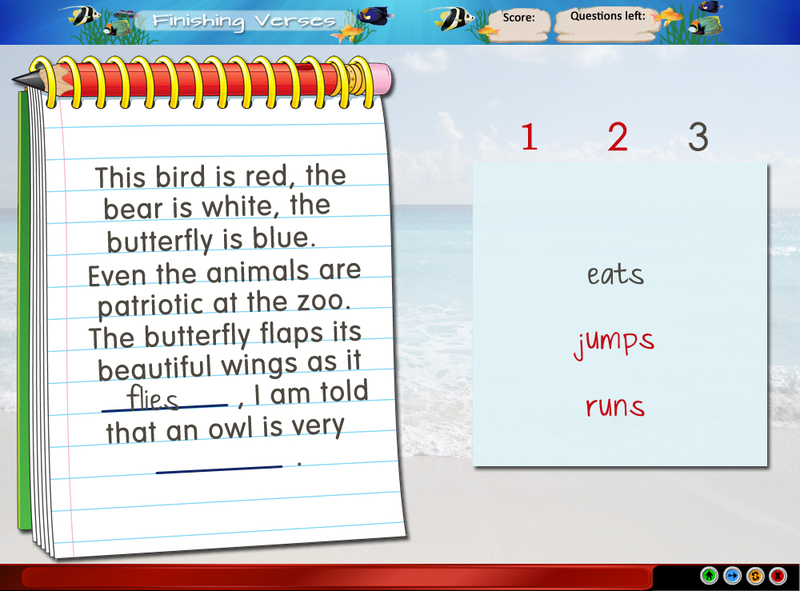 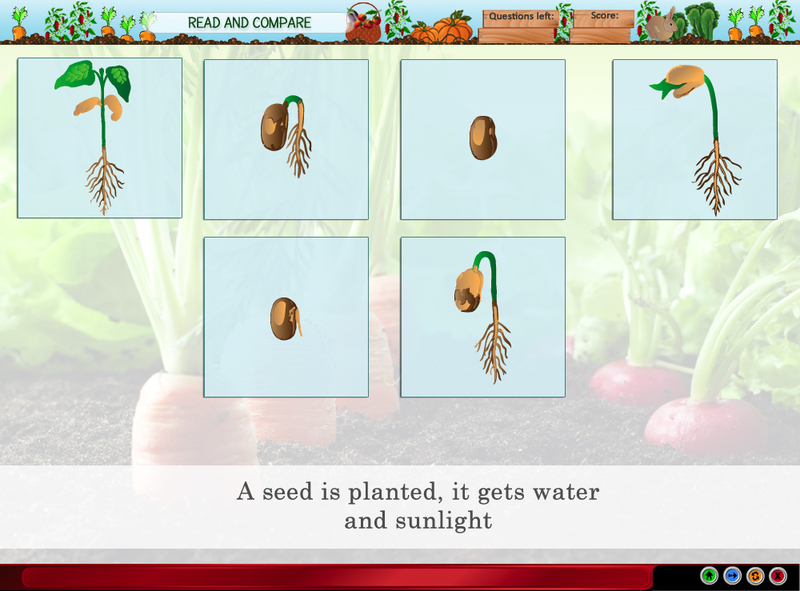 Child hears story and puts the sentences in order, then they identify the main topic. 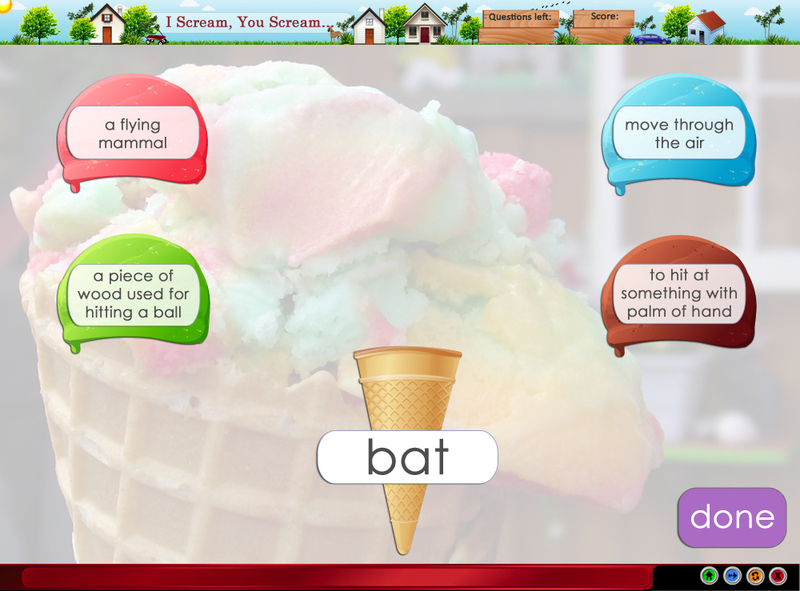 Child guesses the punchline to funny jokes. 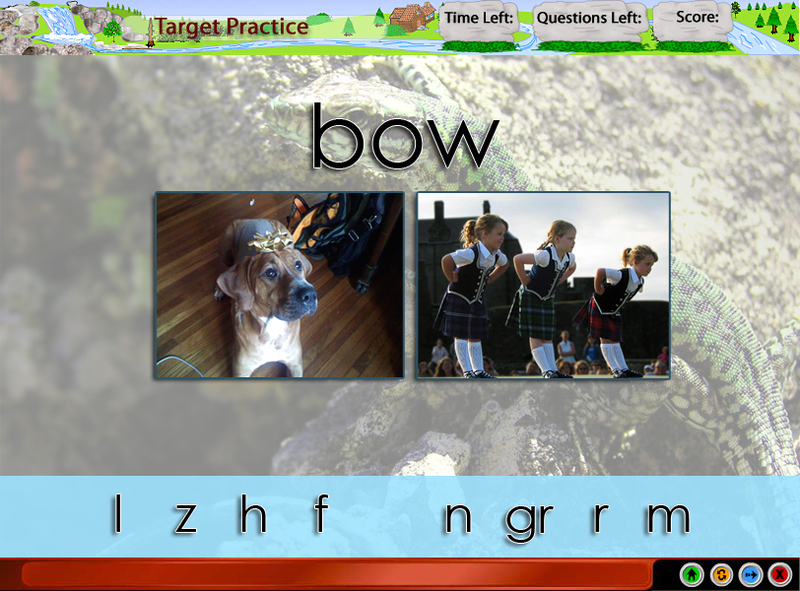 Child’s typing ability is tested. 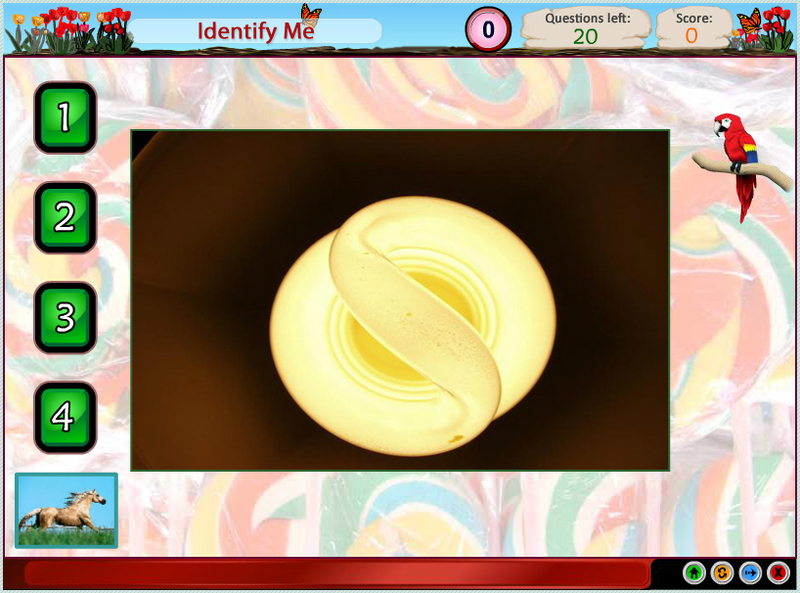 Child is tested on what descriptions match an object. 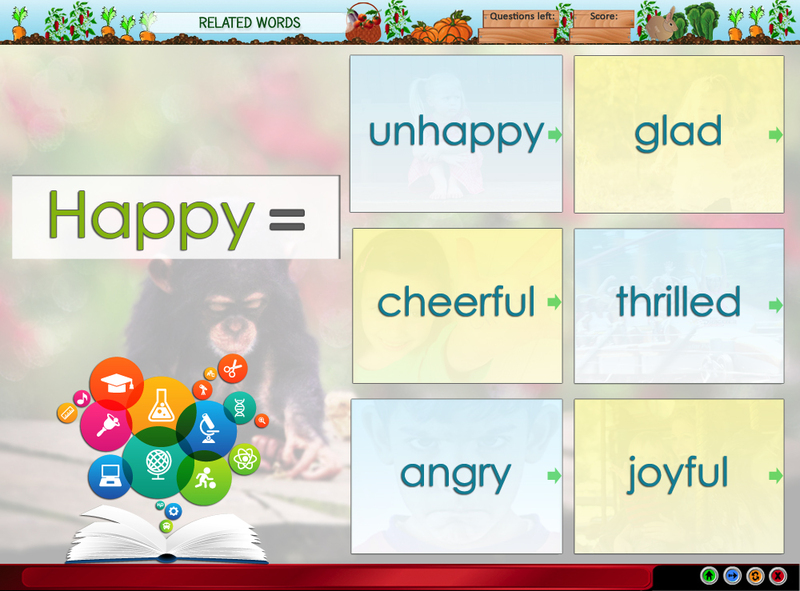 Child decides what words best describe an image. 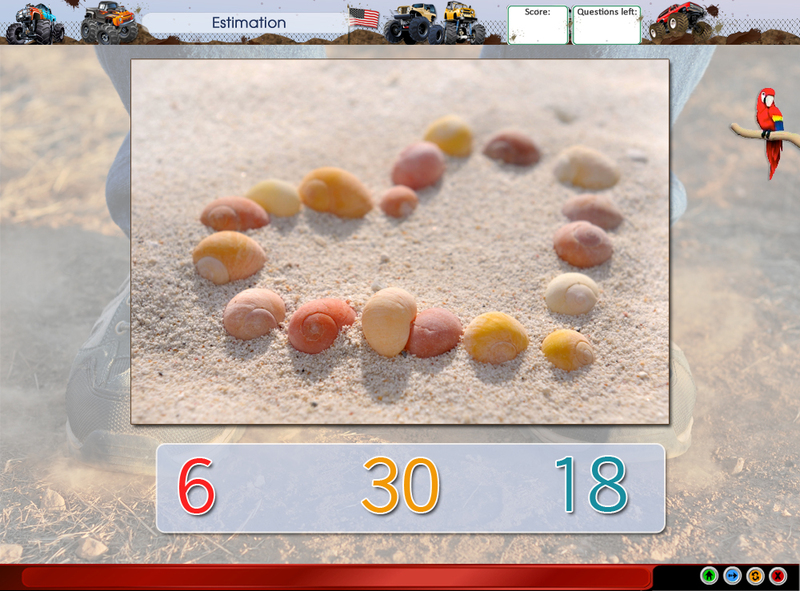 Child estimates number of items in a picture that is shown for only 5 seconds. 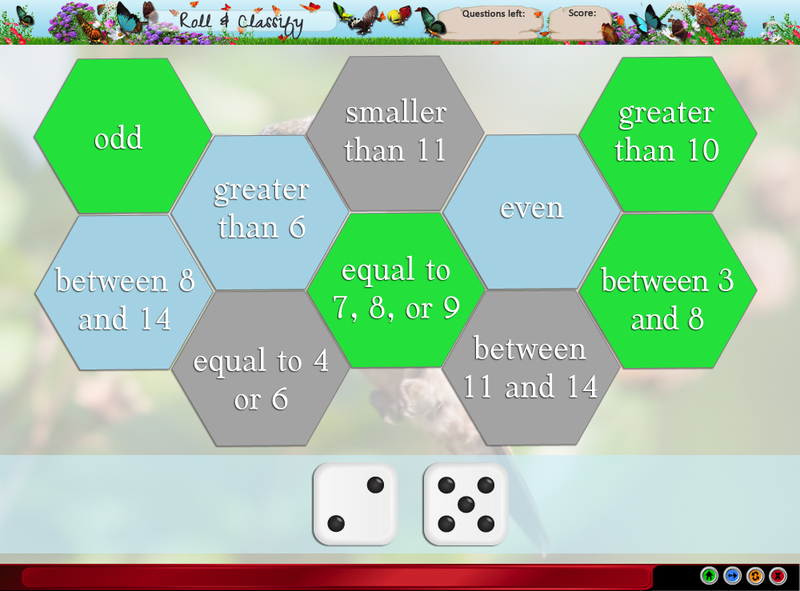 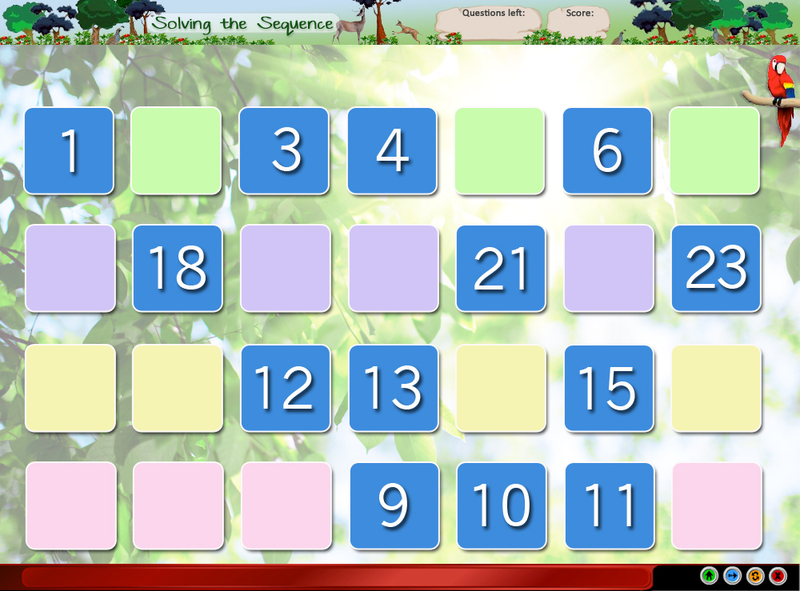 Child completes the sequence by counting by 2, 5 and 10. 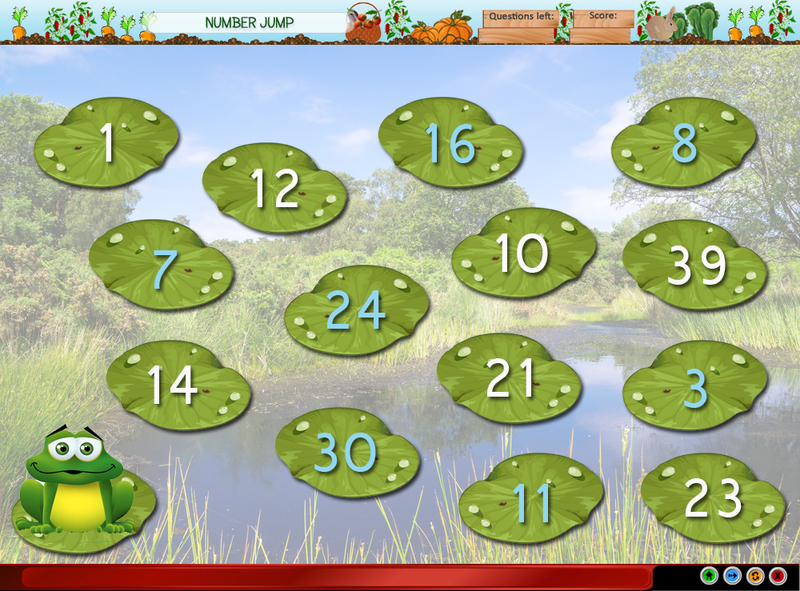 Child sorts numbers and equations into categories. 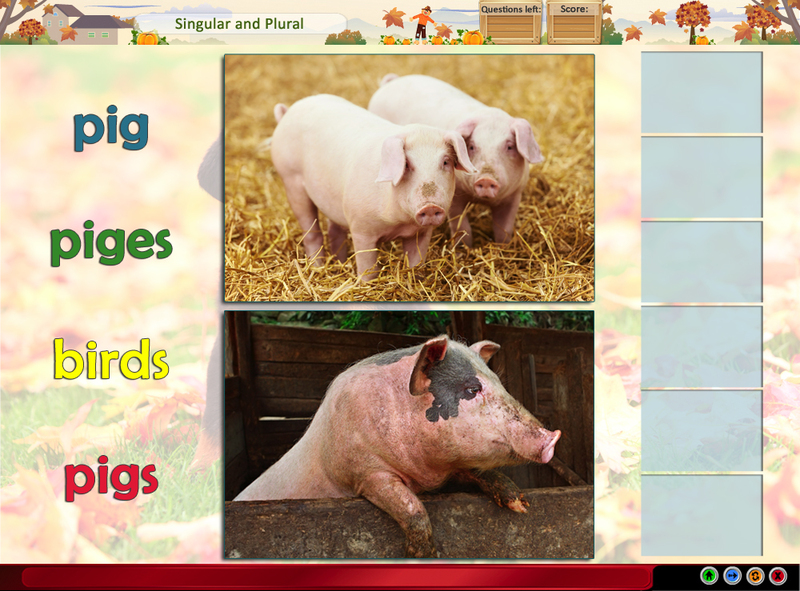 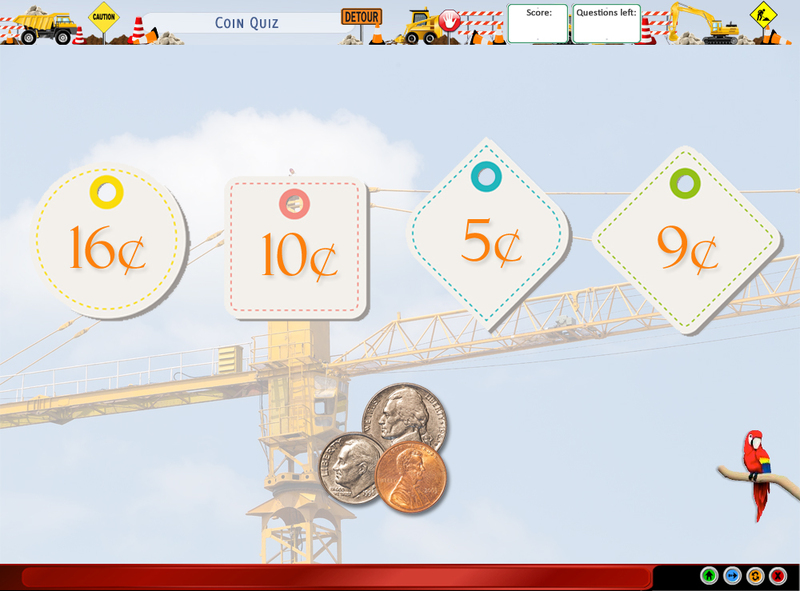 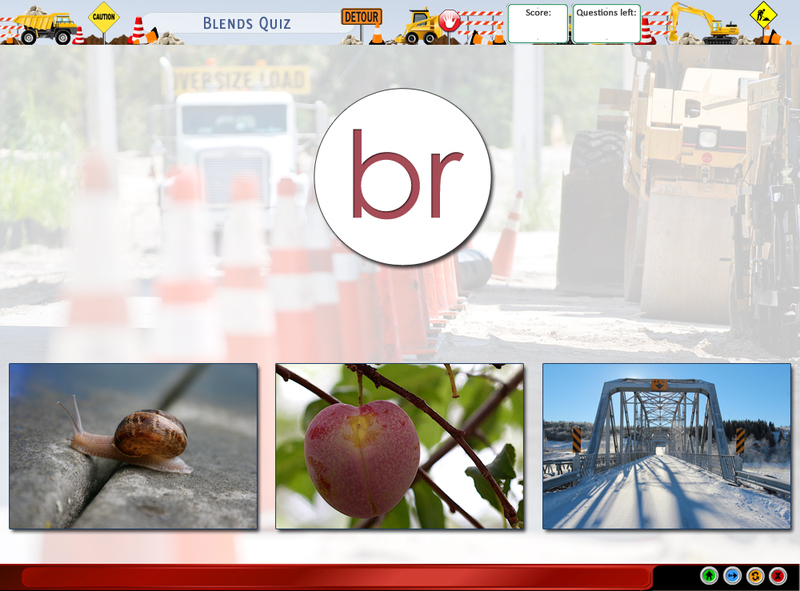 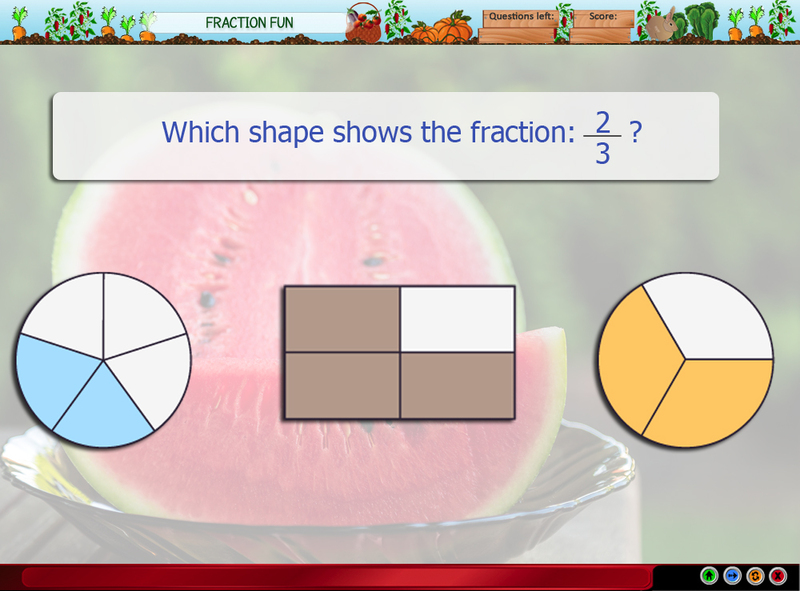 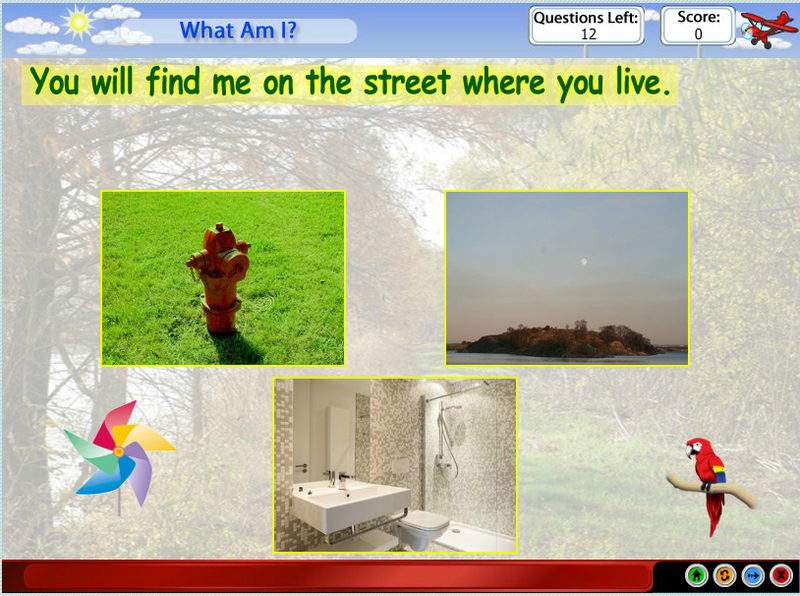 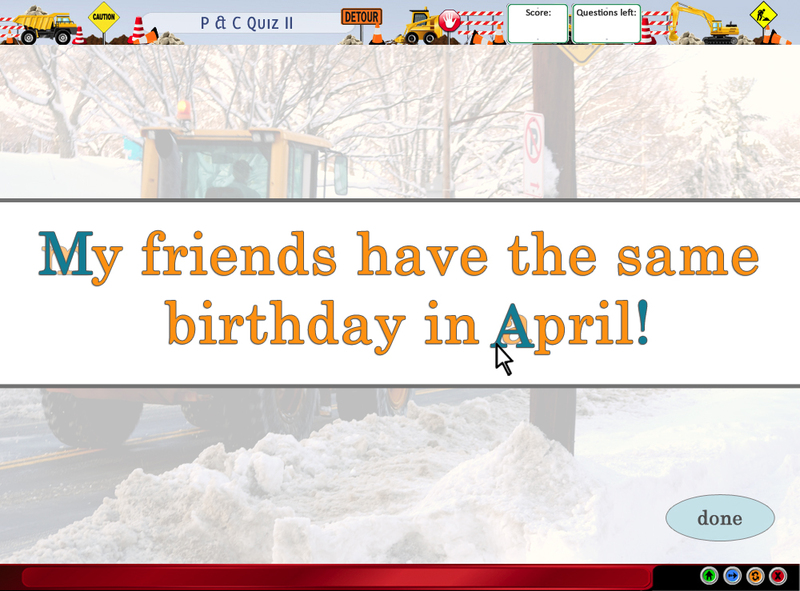 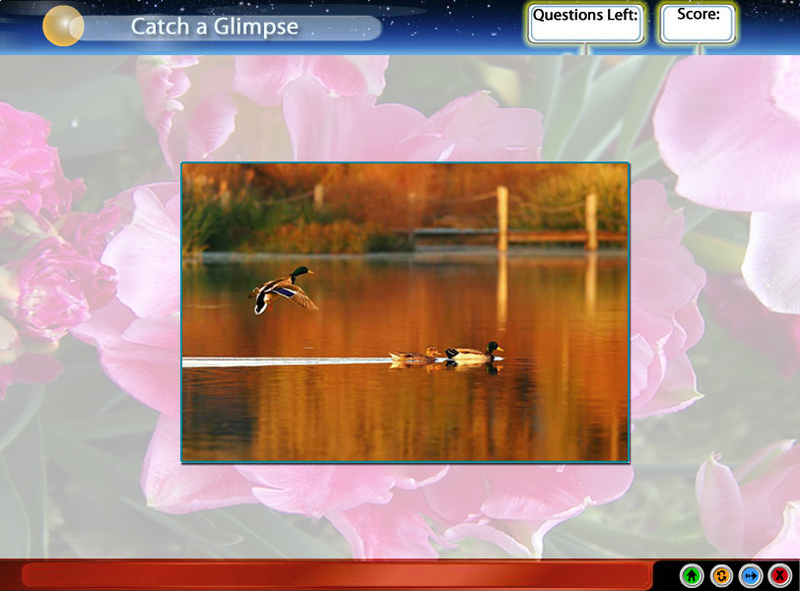 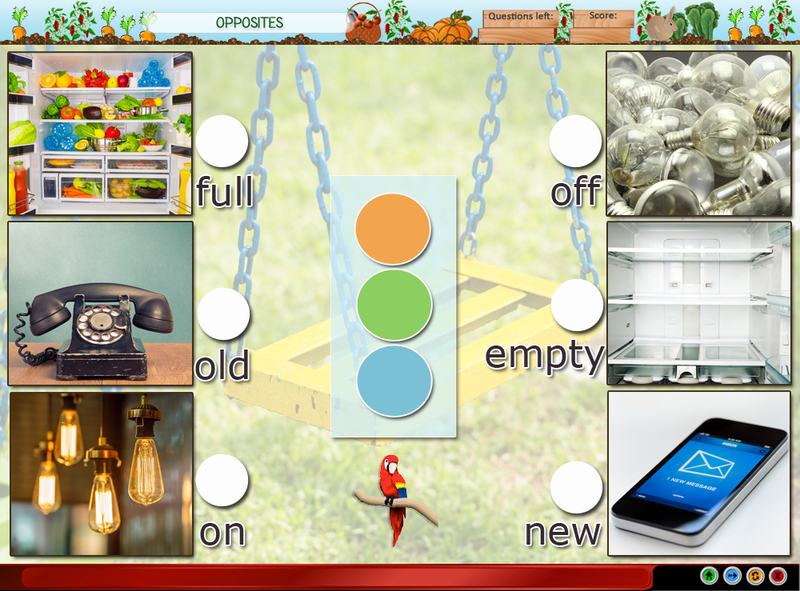 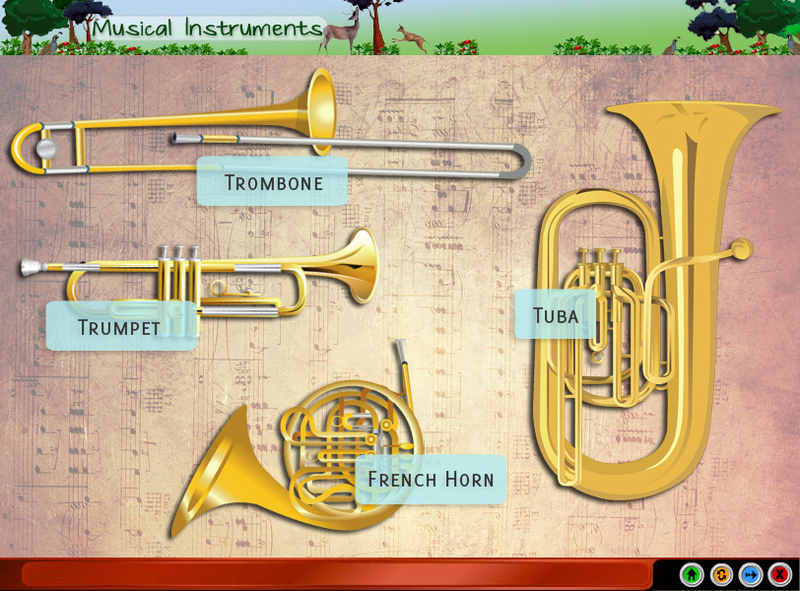 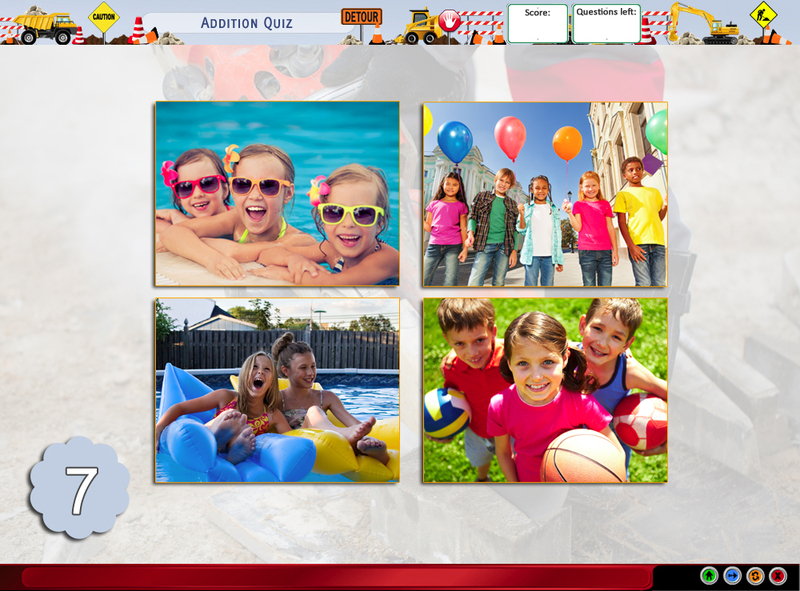 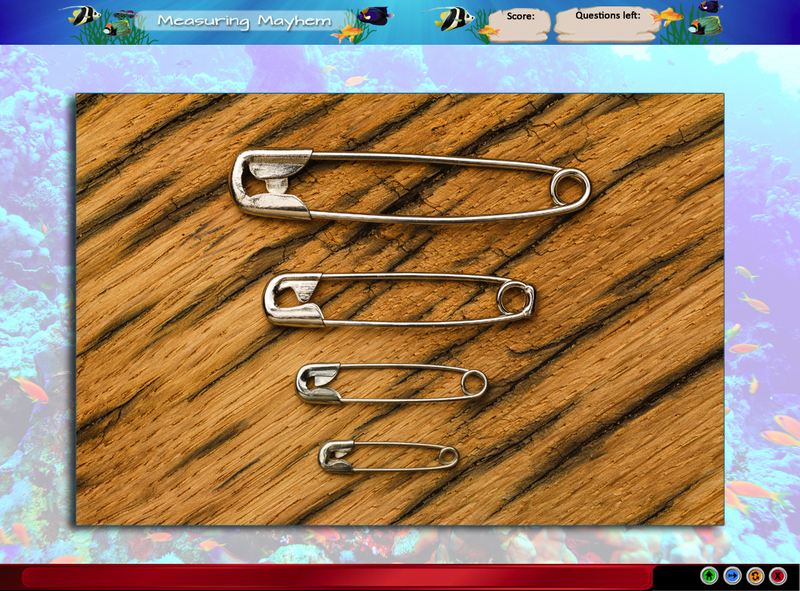 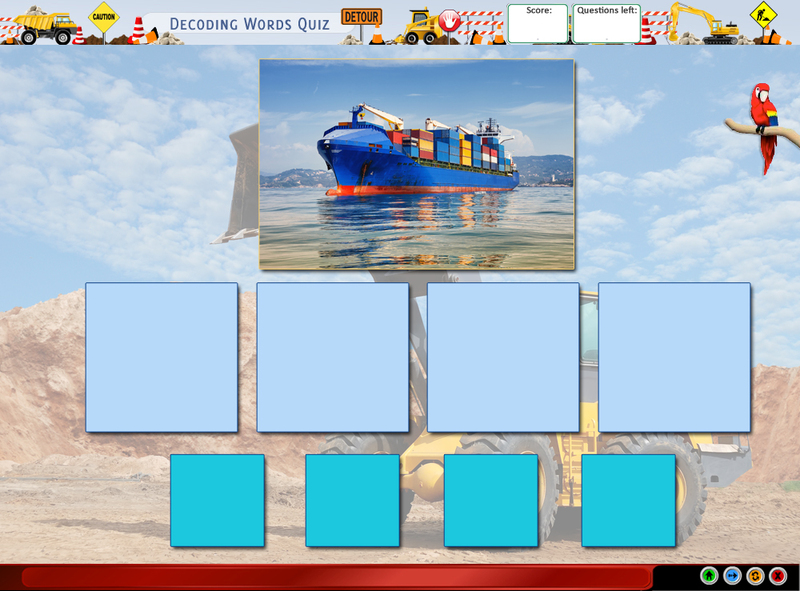 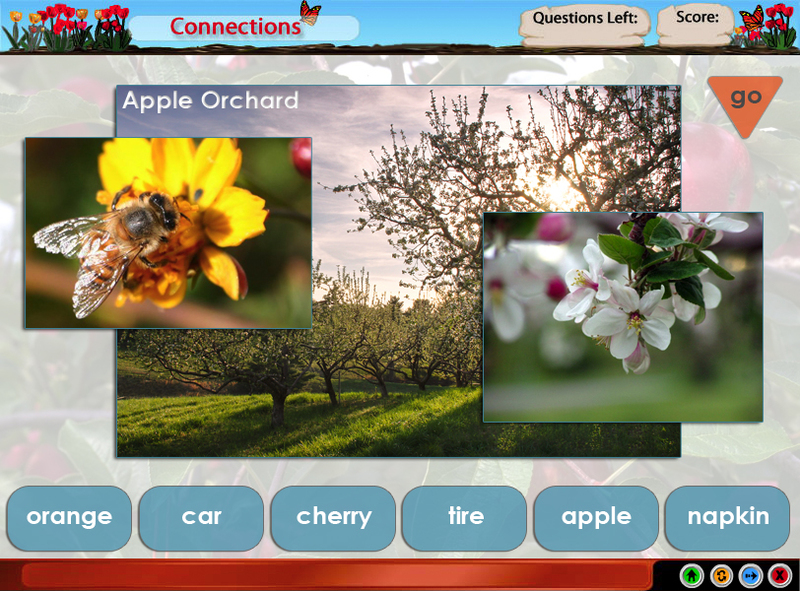 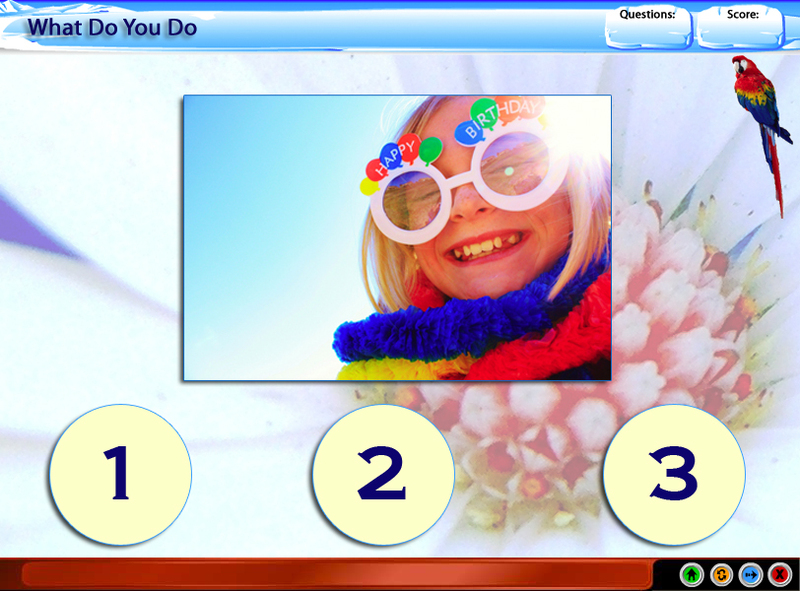 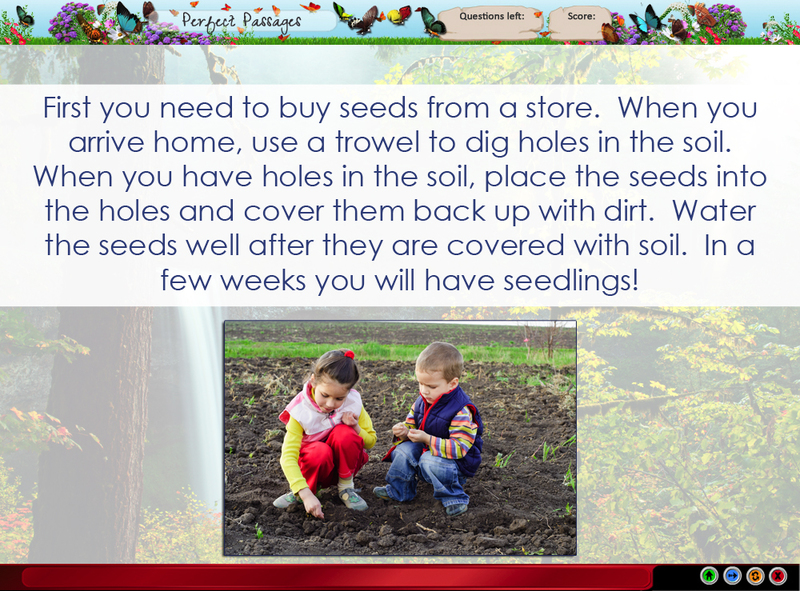 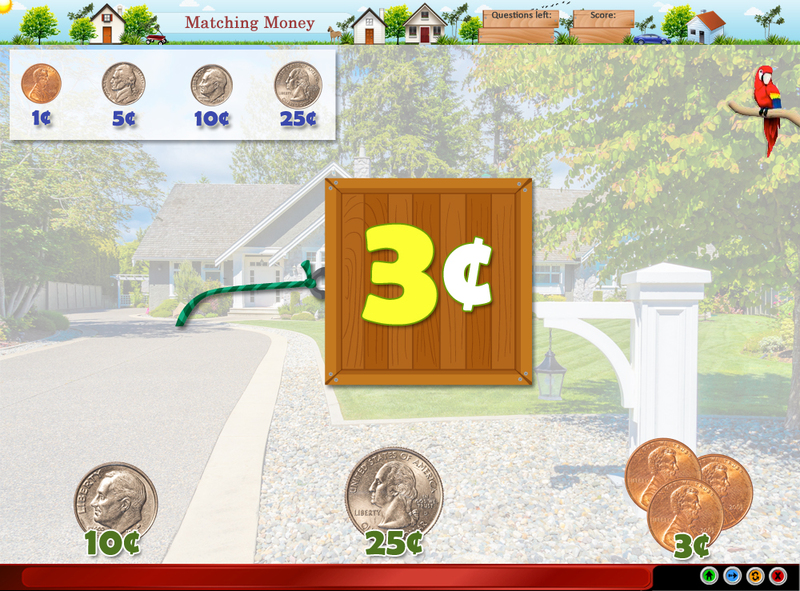 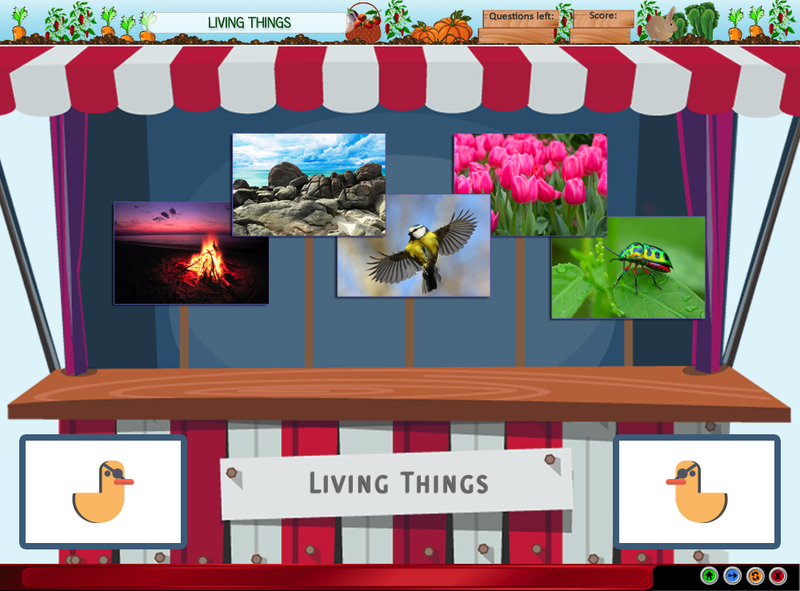 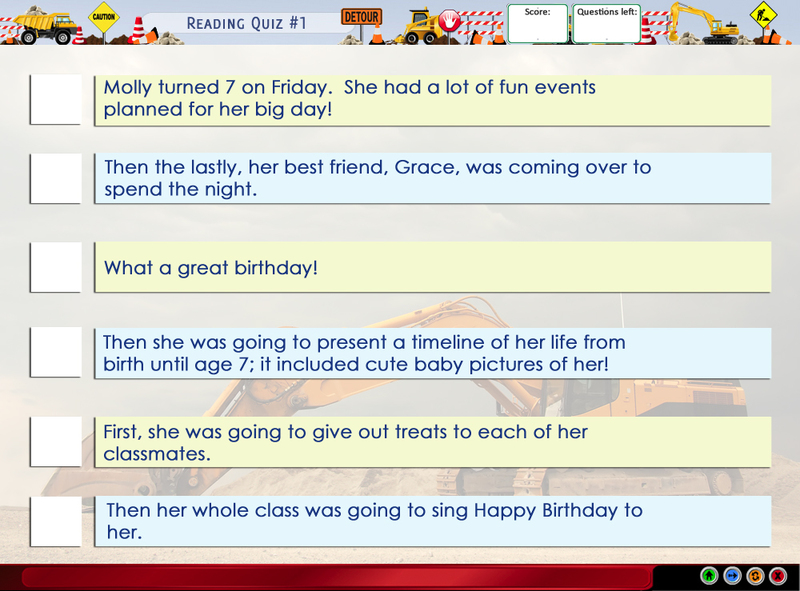 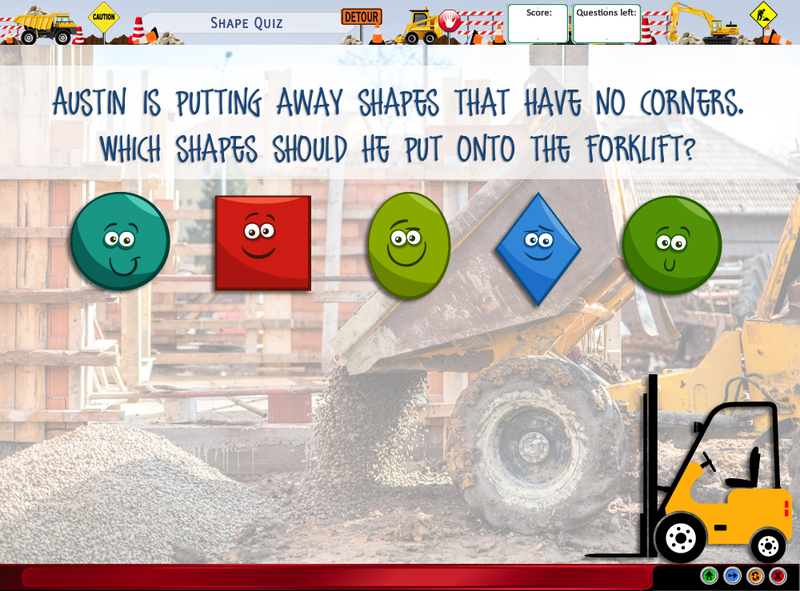 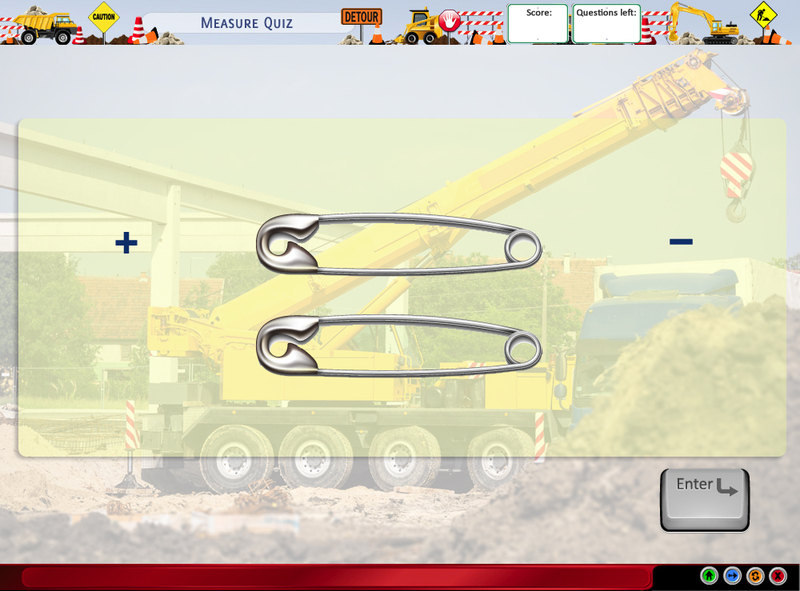 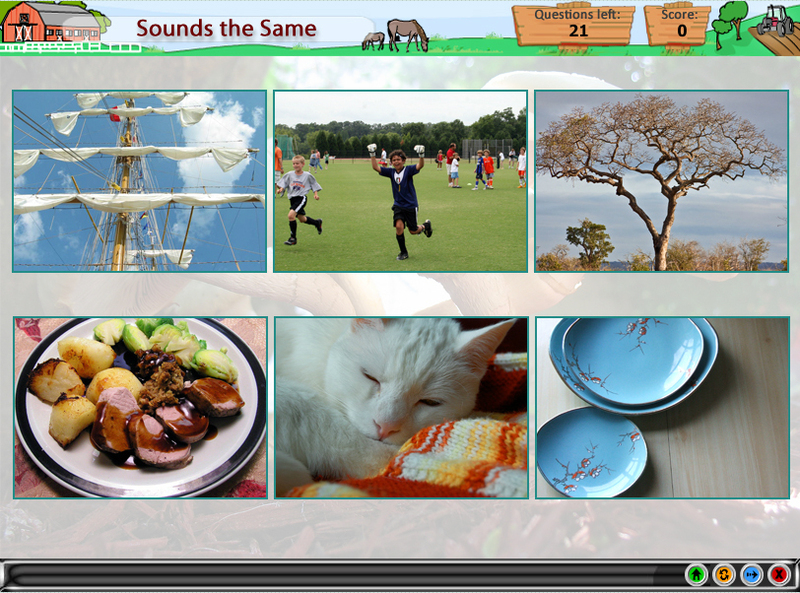 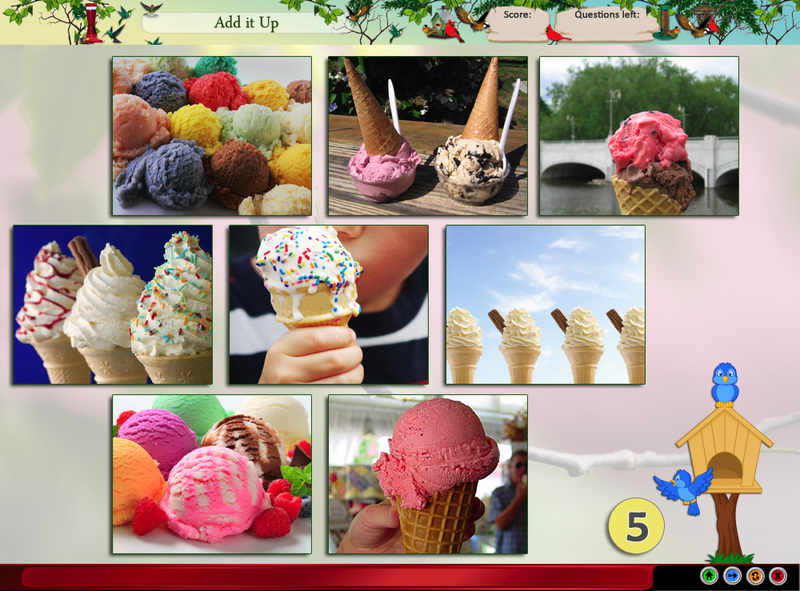 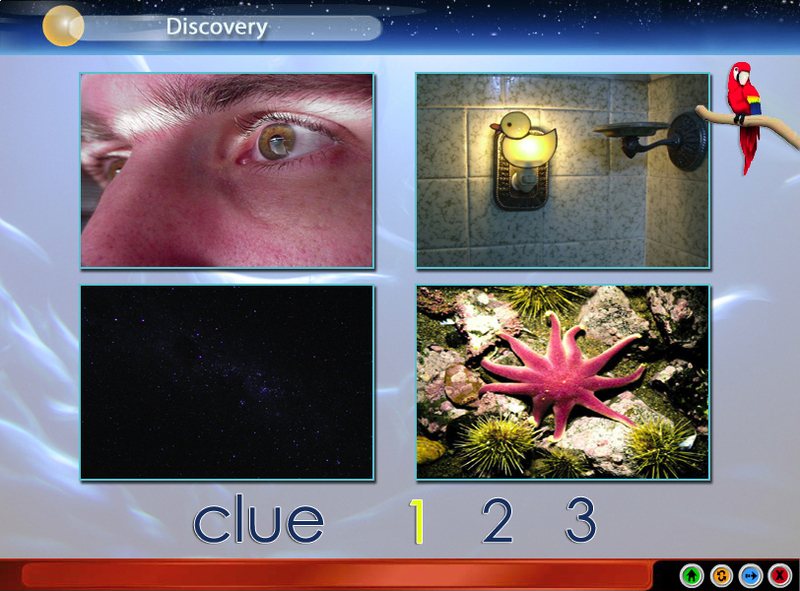 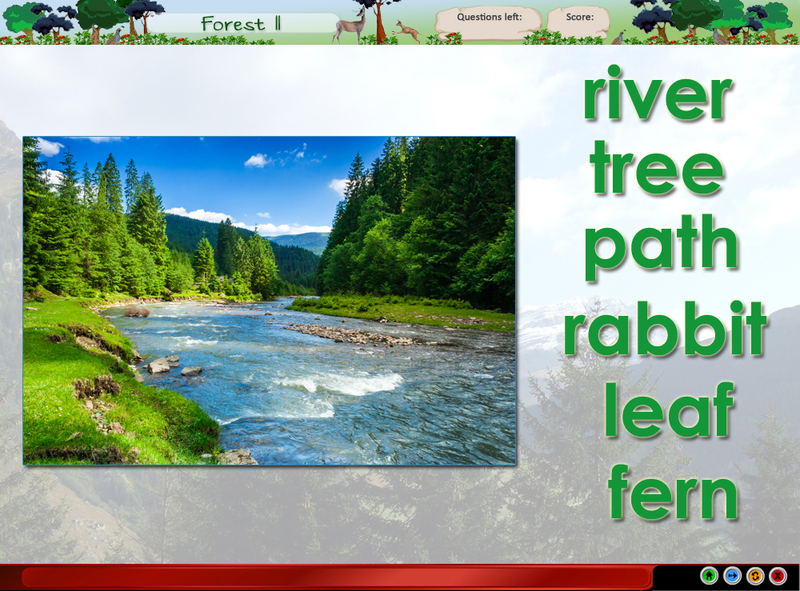 Quizzes child’s ability to add using pictures. 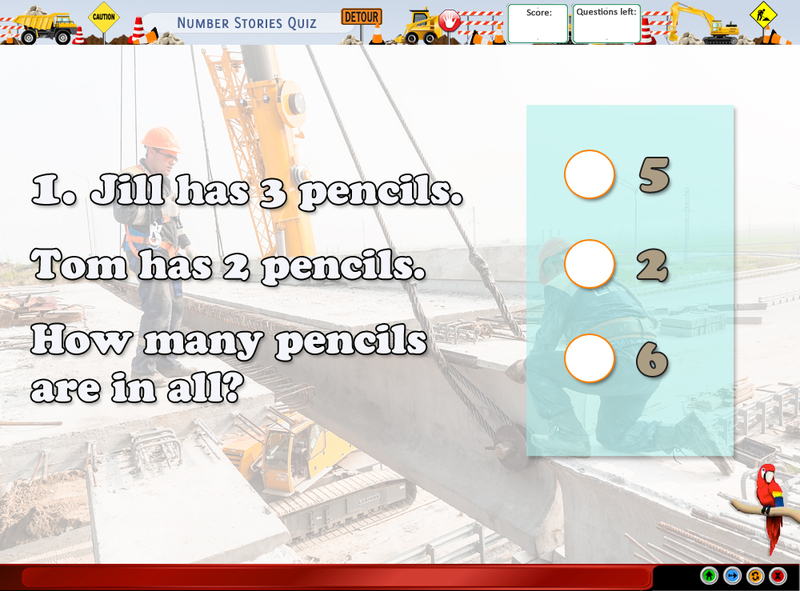 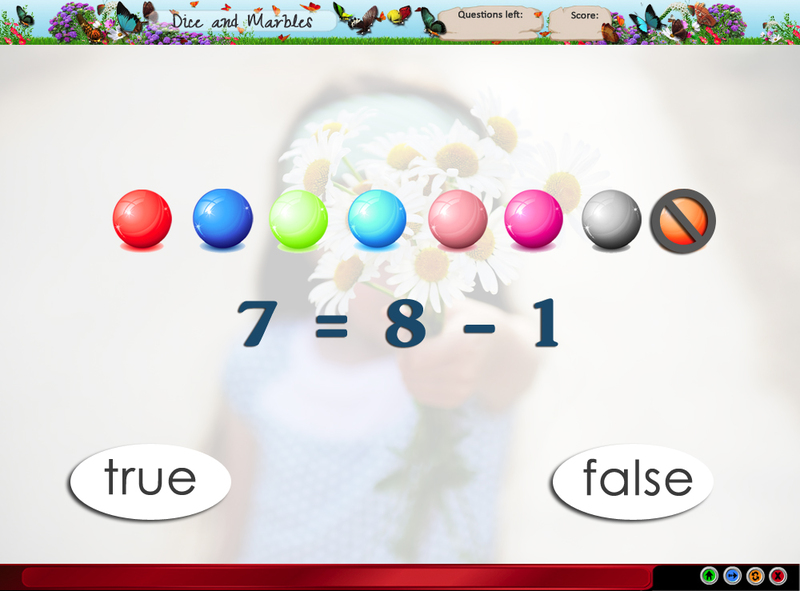 Child is asked true or false questions about whether 2 equations are equal. 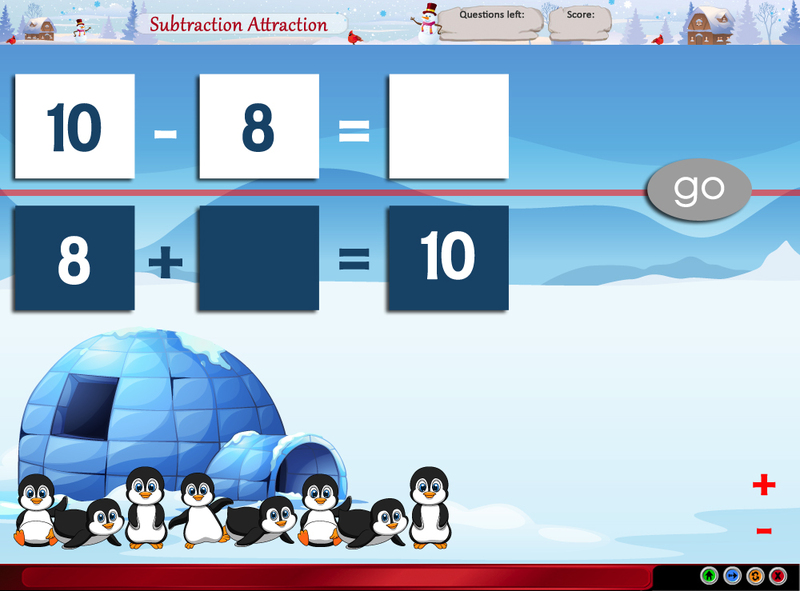 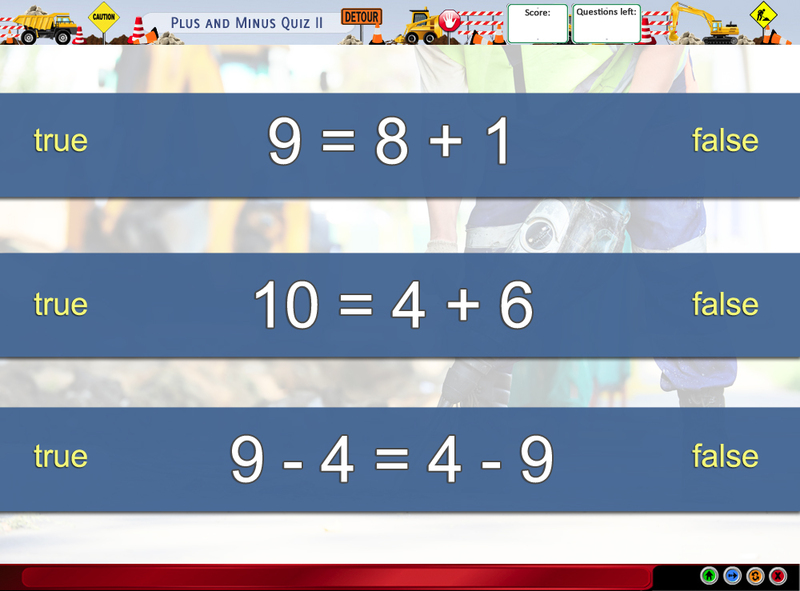 Child must find correct equations with order of addends changed and then the child types the missing number in equations where the grouped addends are changed. 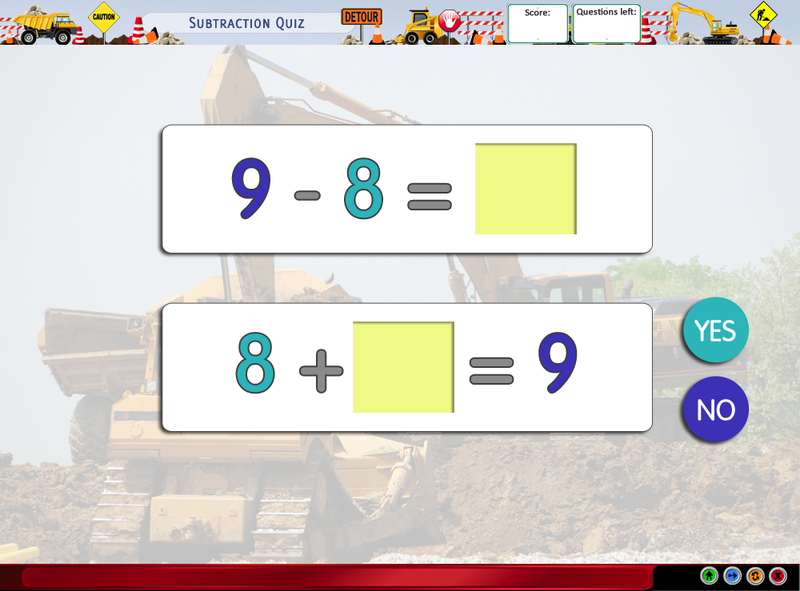 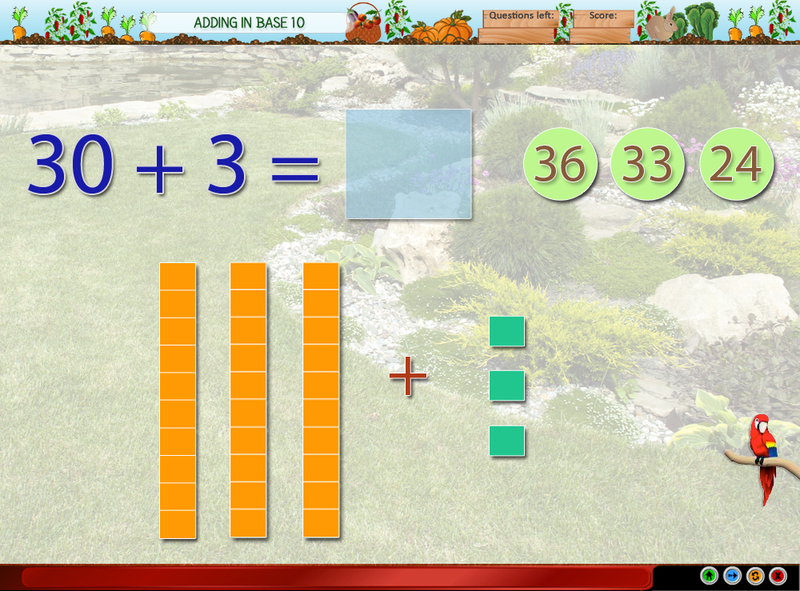 Child types the missing number in addition and the opposite subtraction problems. 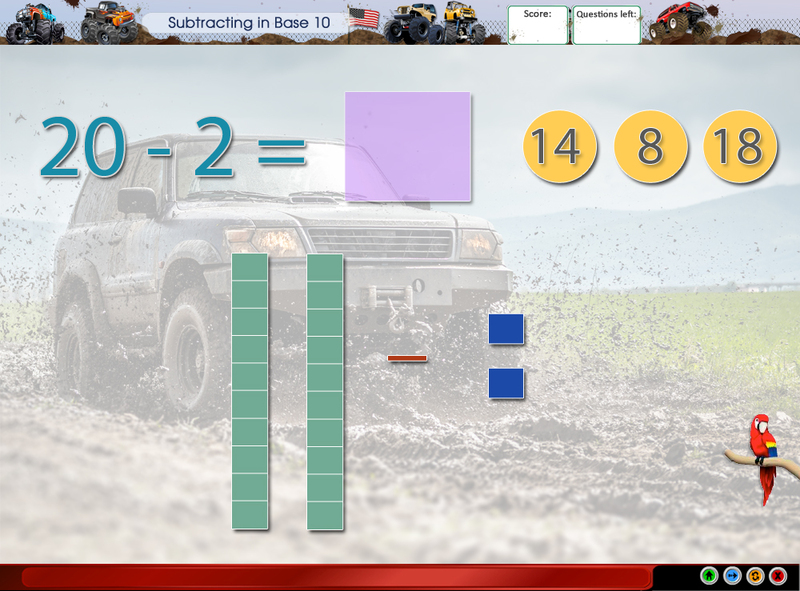 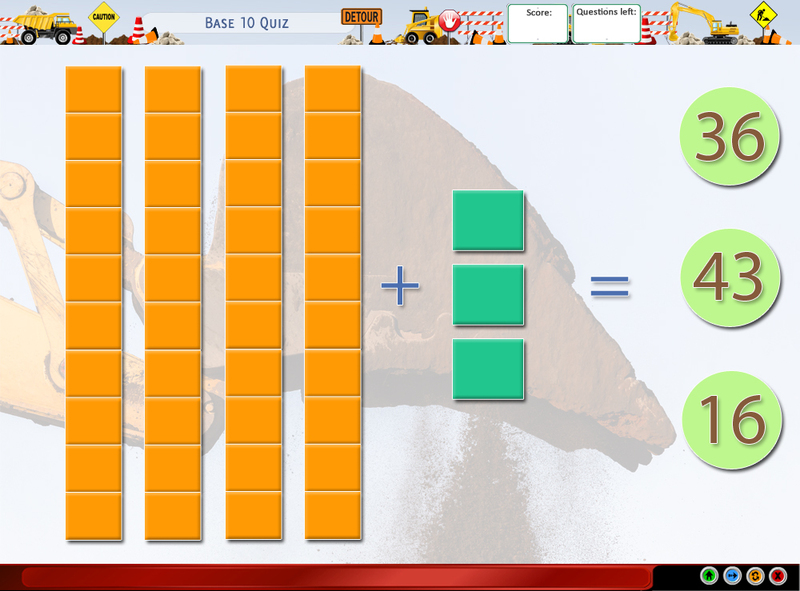 Quizzes on addition and subtraction using 10’s and 1’s blocks. 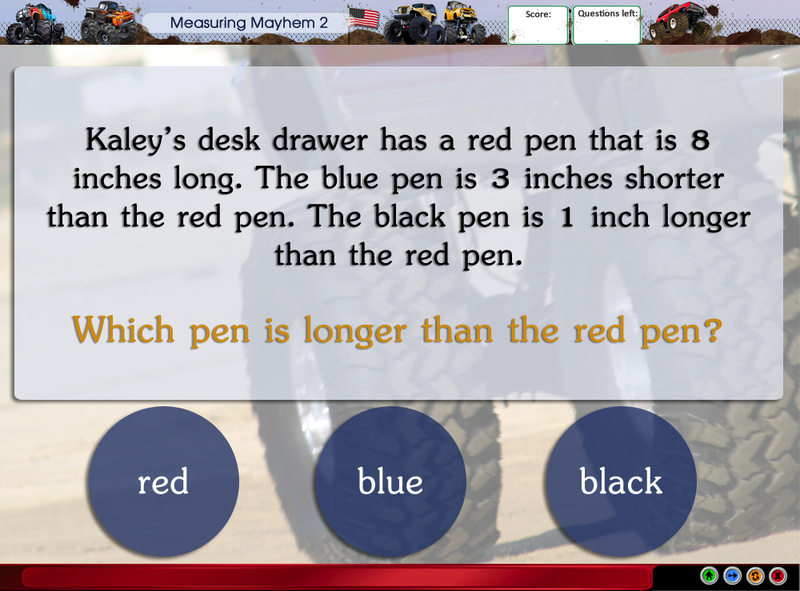 Tests ability to solve word problems. 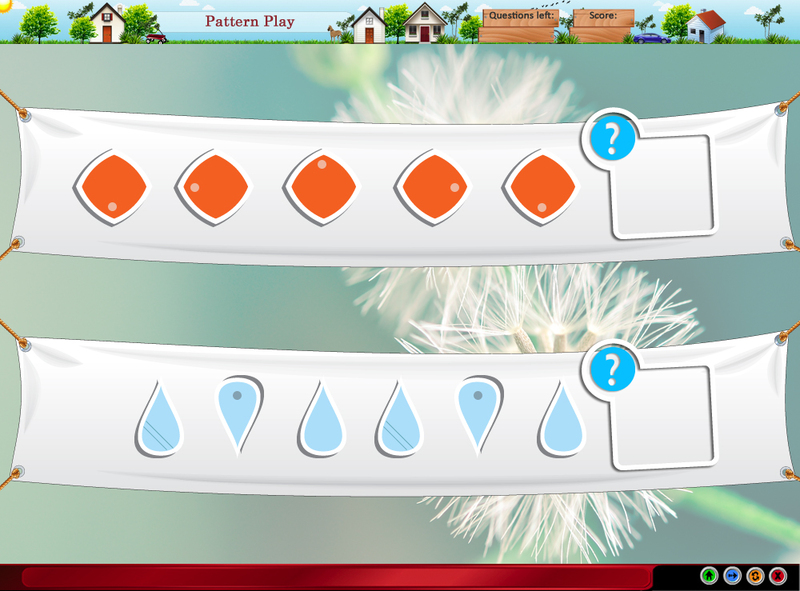 Child completes complicated patterns and then repeats the pattern shown. 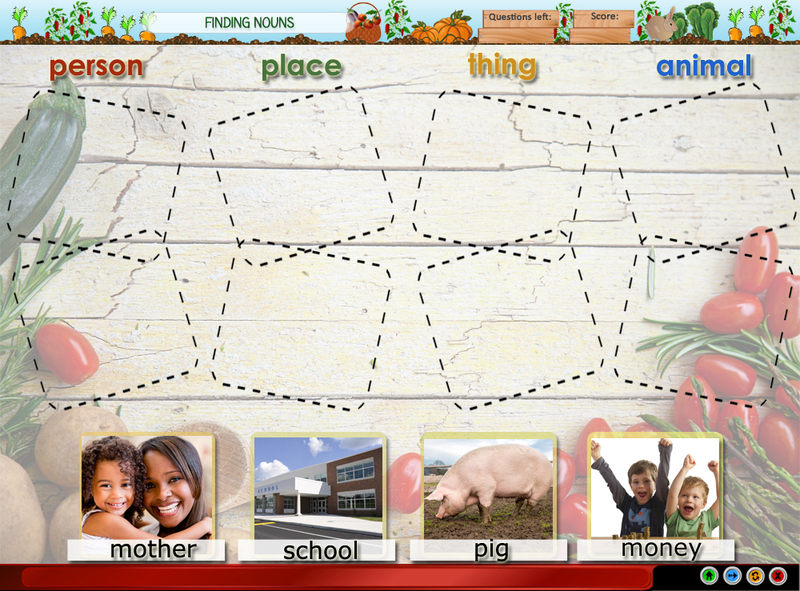 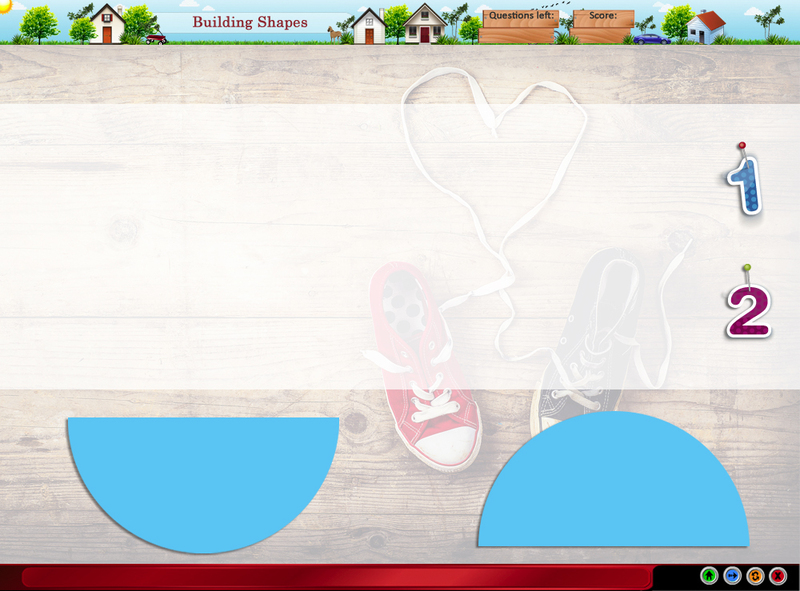 Child sorts shapes by common attributes. 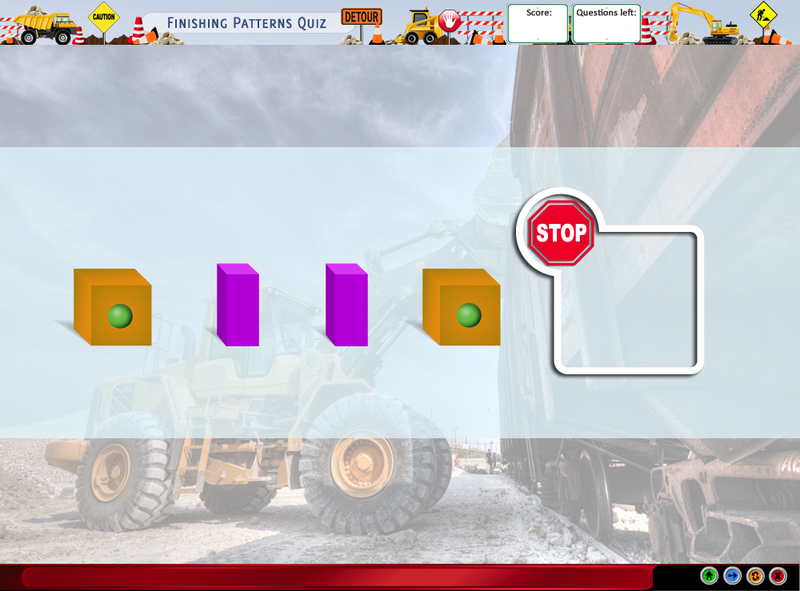 Tests on ability to finish complex patterns. 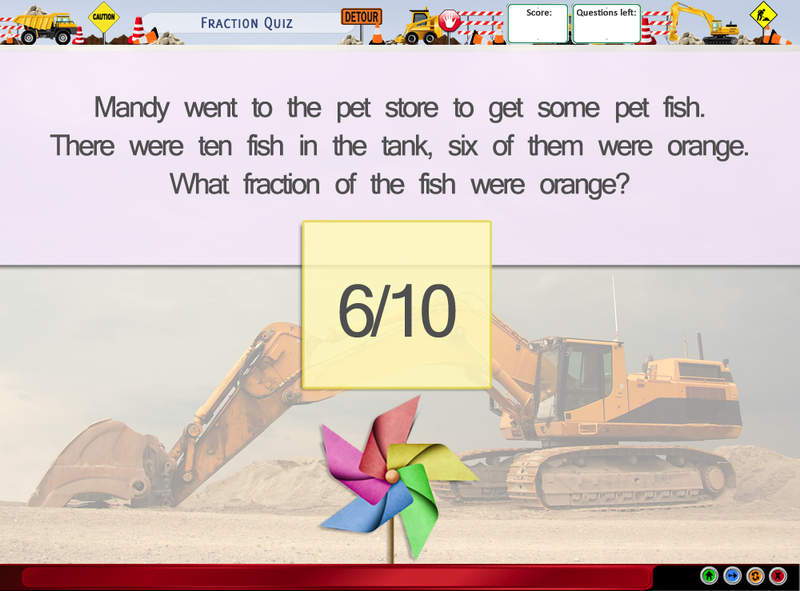 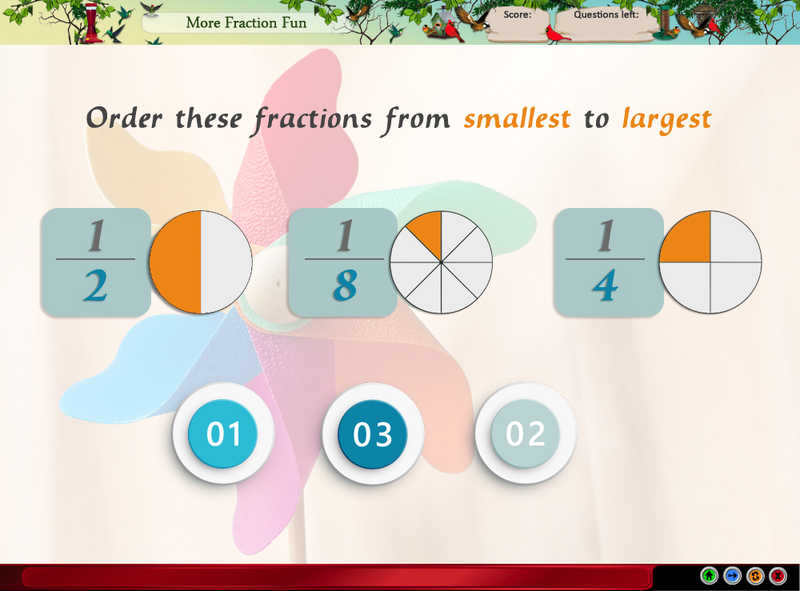 Child is quizzed on word problems that deal with fractions. 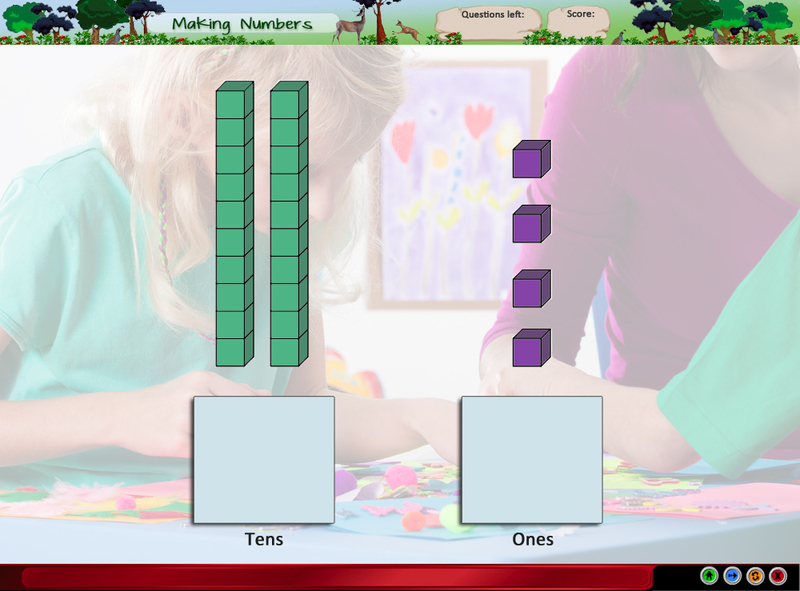 Child manipulates objects to change the size depending on what was specified. 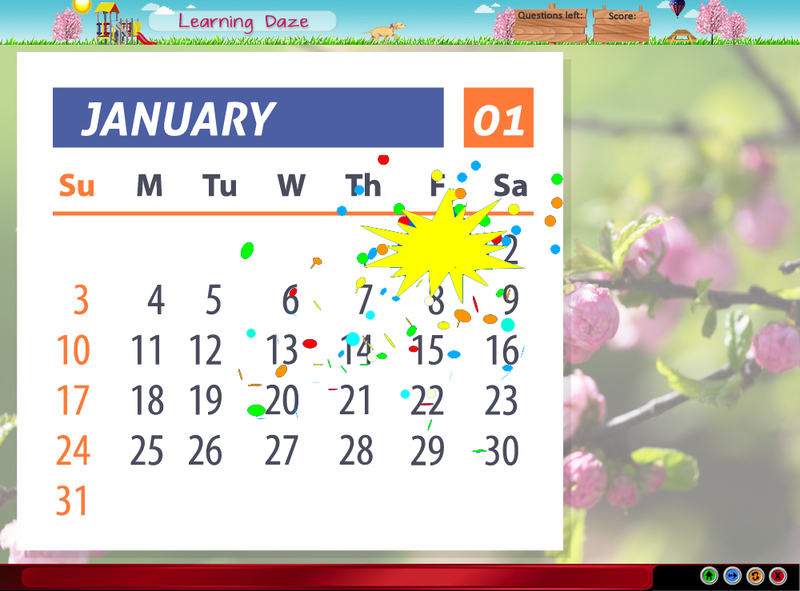 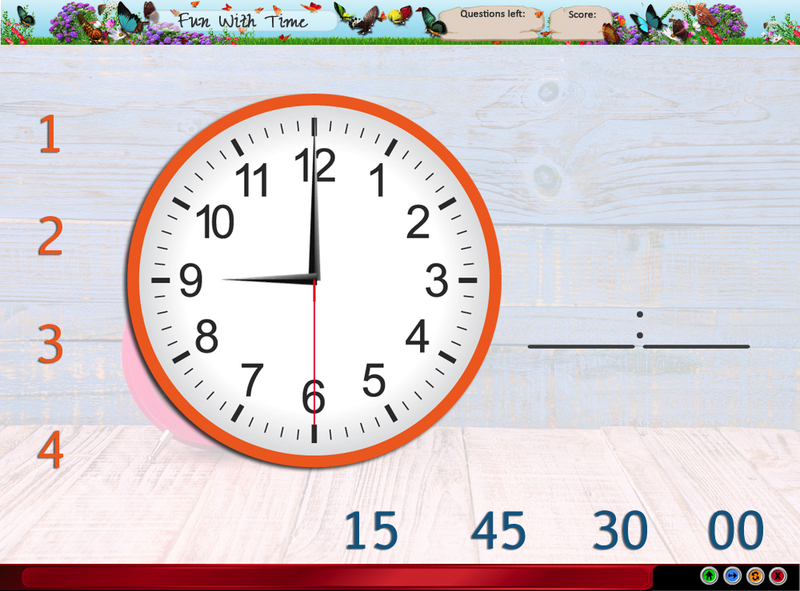 Tests the ability to read the time on an analog clock and connect the clock with the time in numbers e.g. 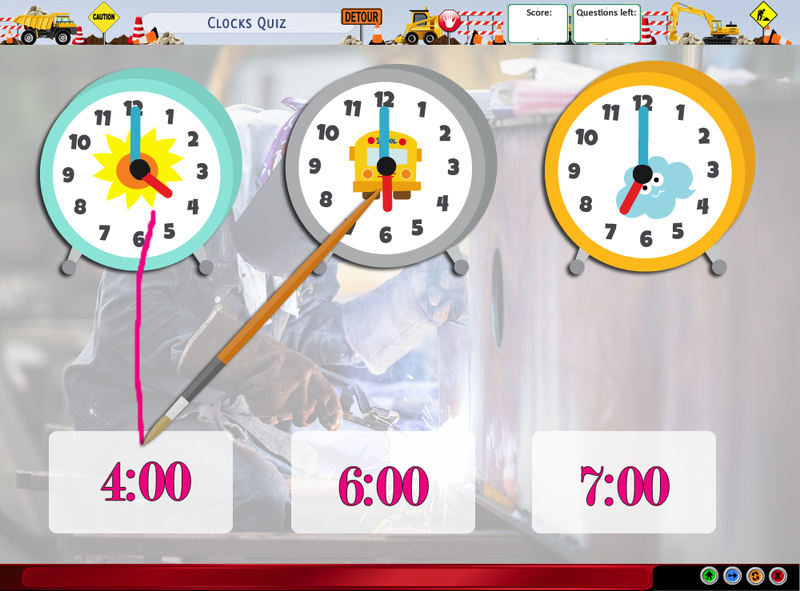 4:00. 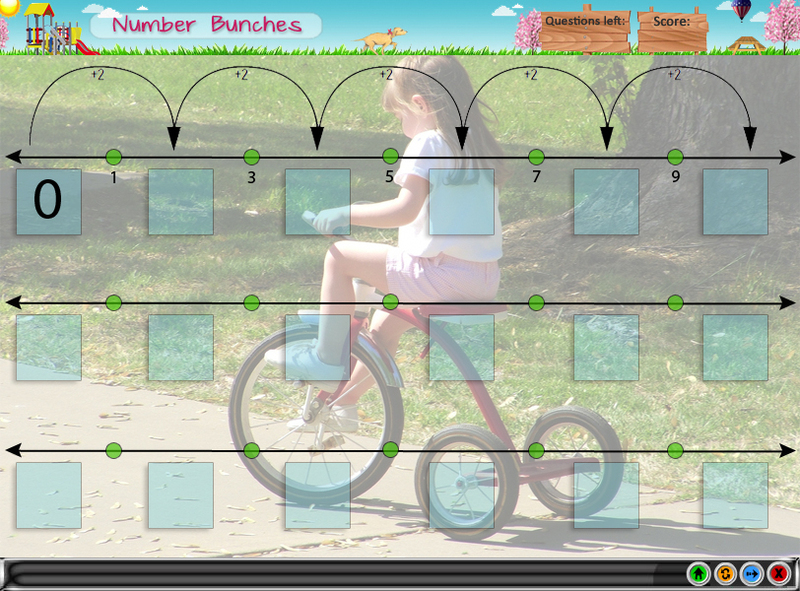 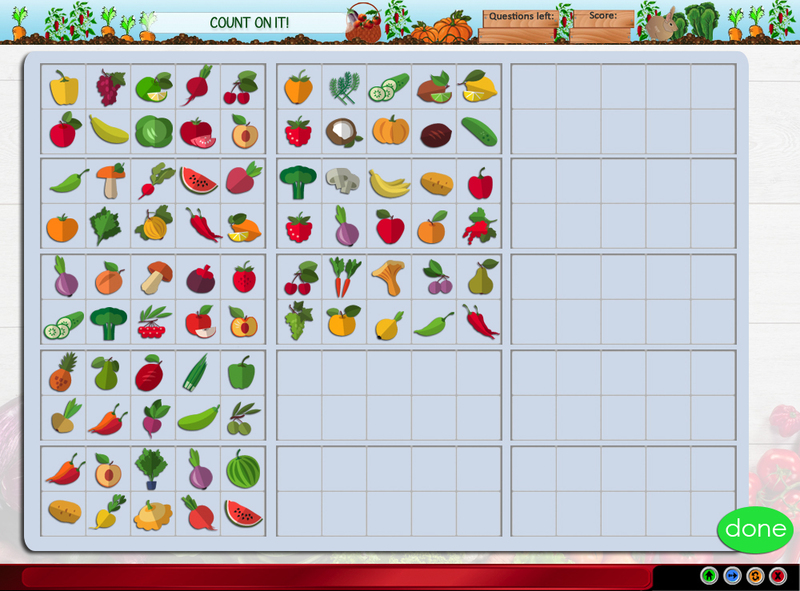 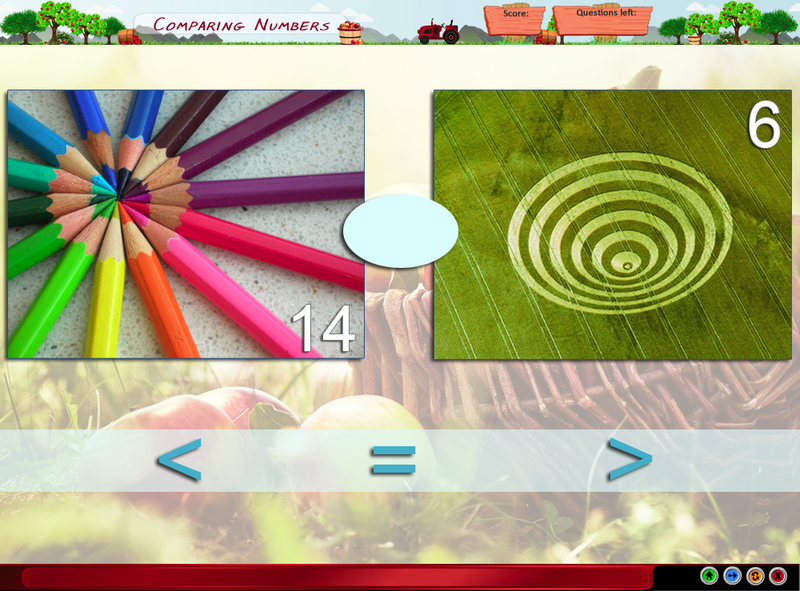 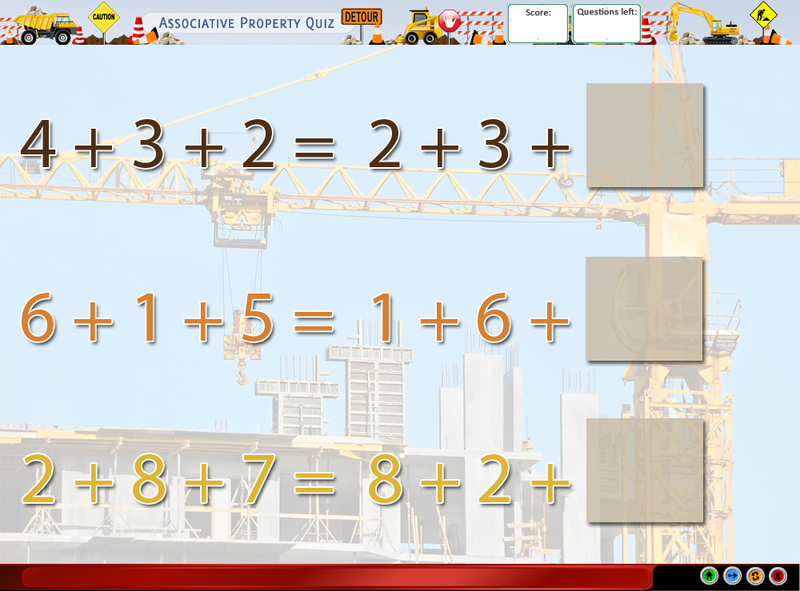 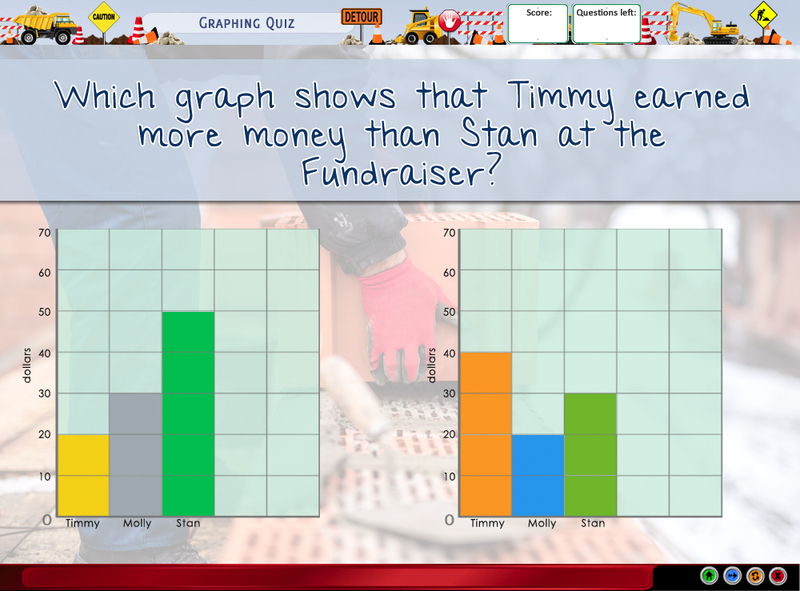 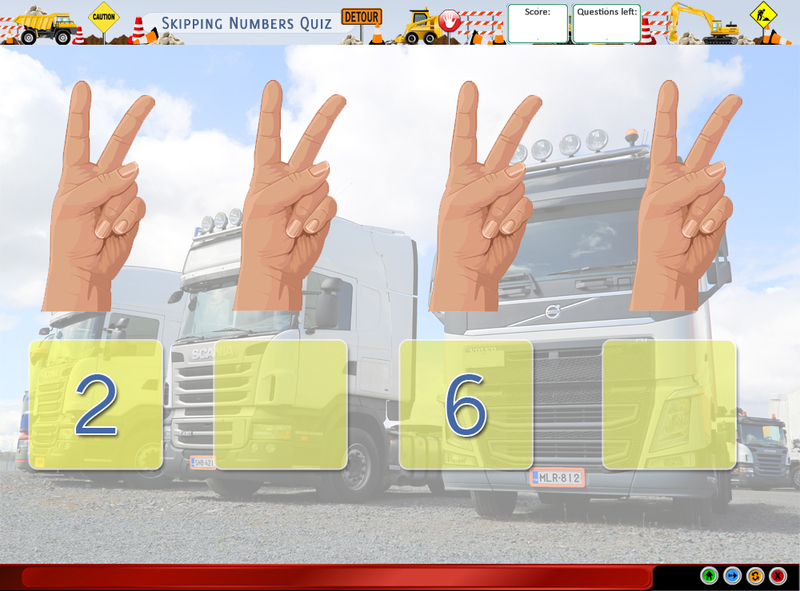 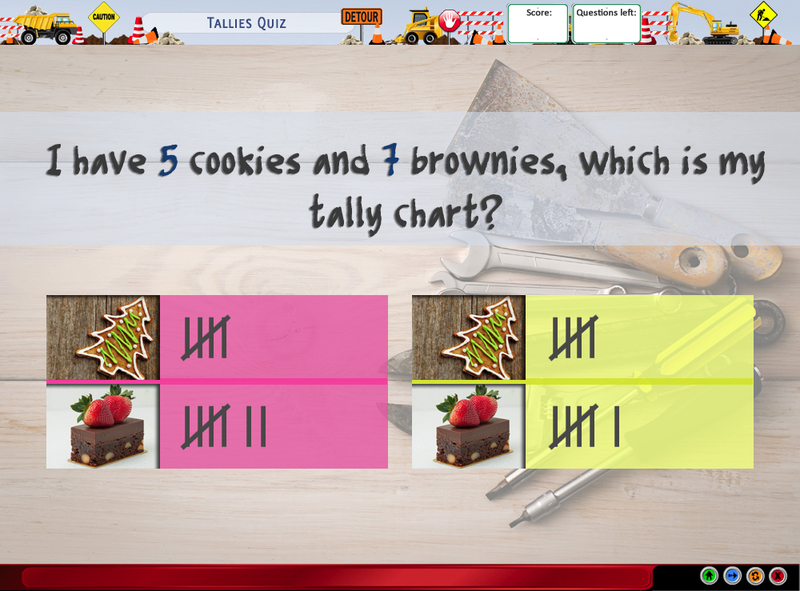 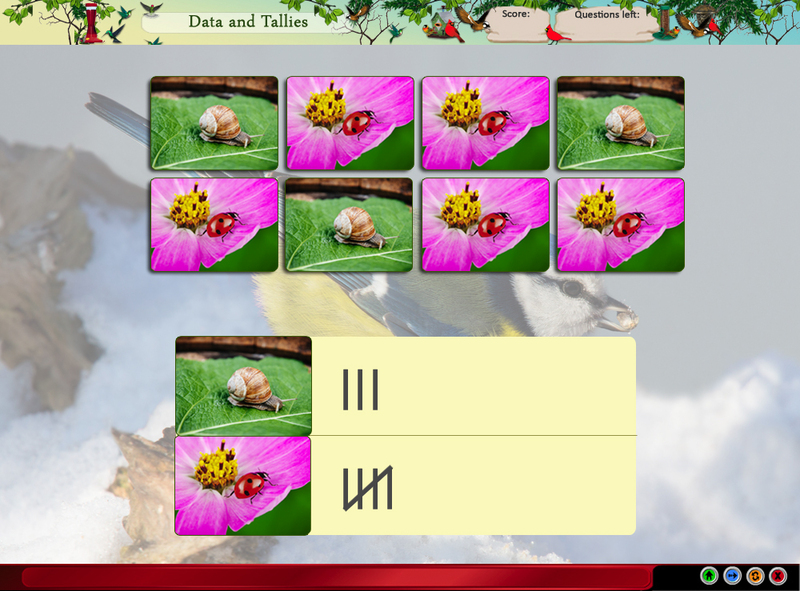 Child chooses which tally chart is correct using the images shown. 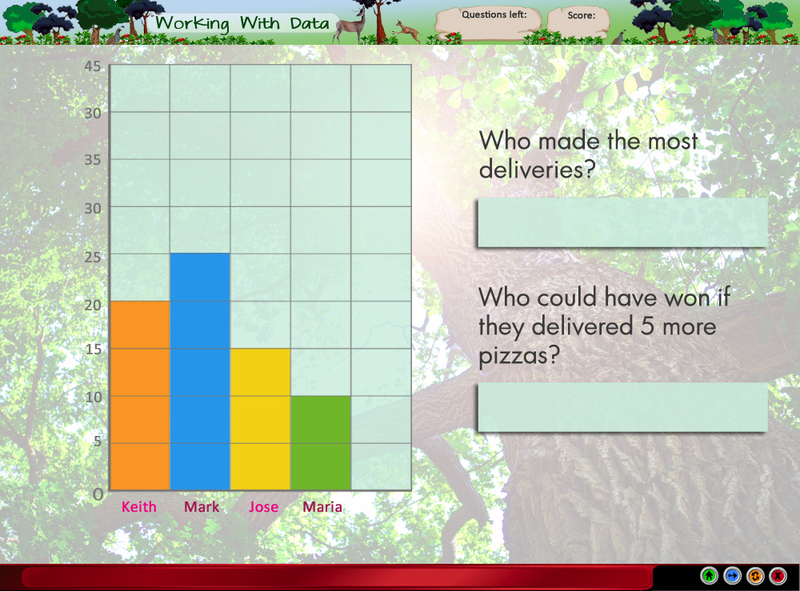 Tests for knowledge on how to read and interpret data in bar charts.